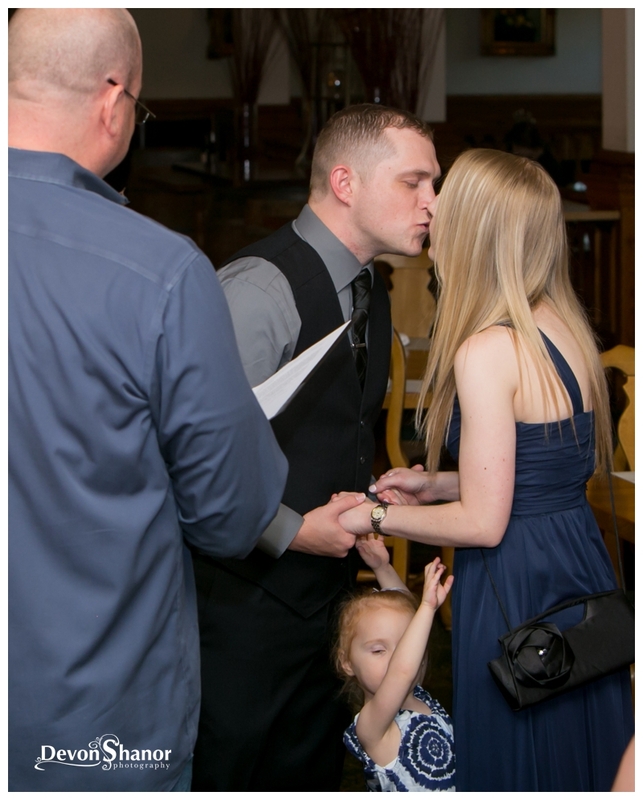 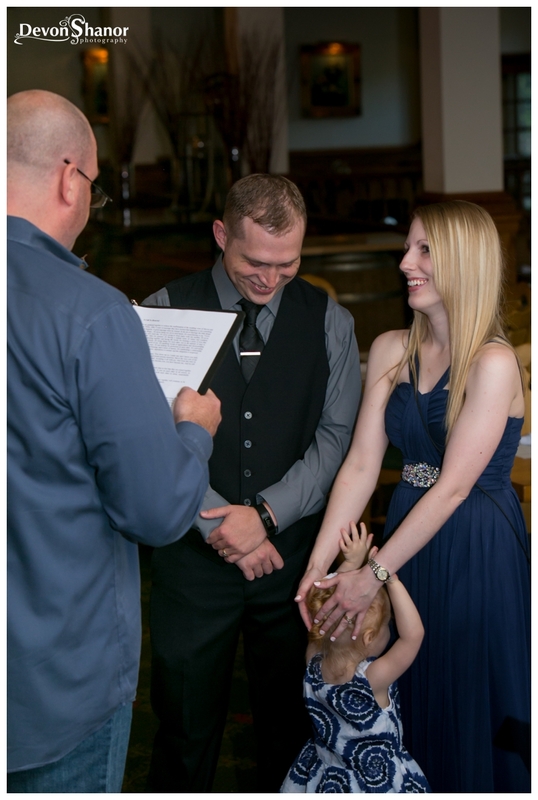 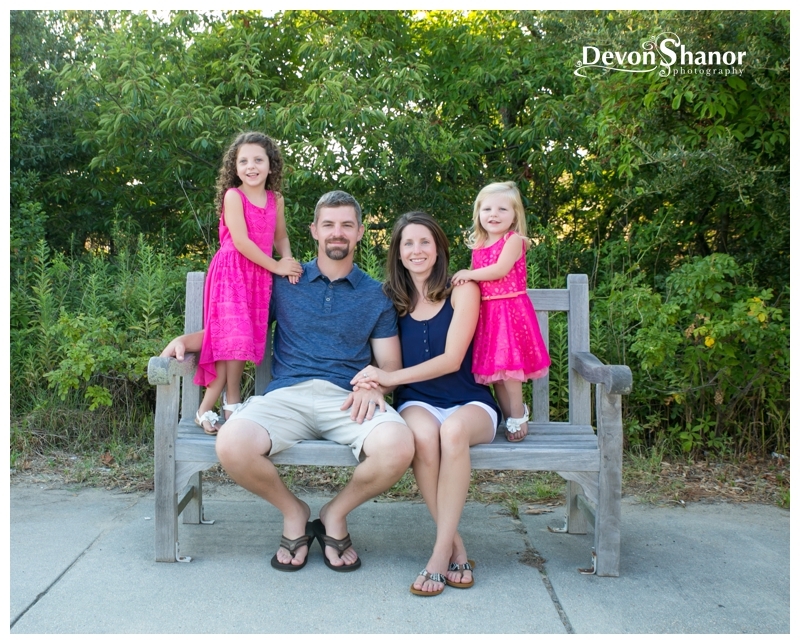 If you follow my blog you will know this family. 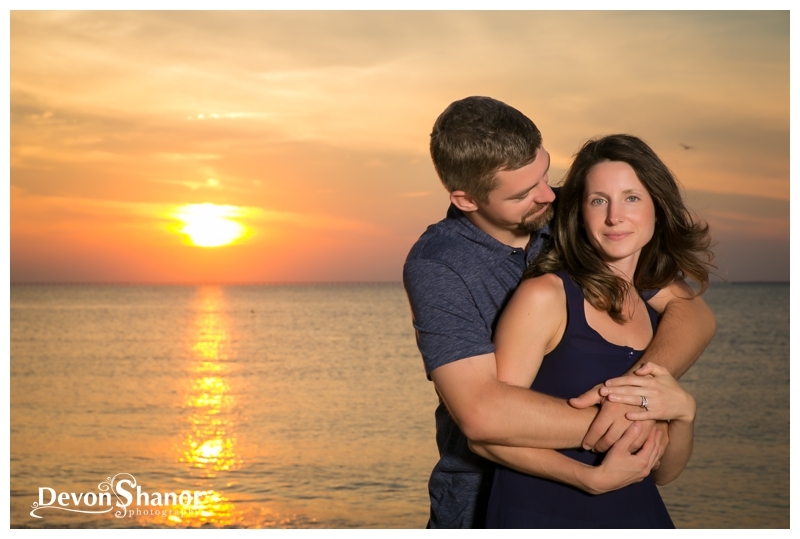 I have been photographing them for years, ever since they were pregnant with their beautiful little Elliegh. 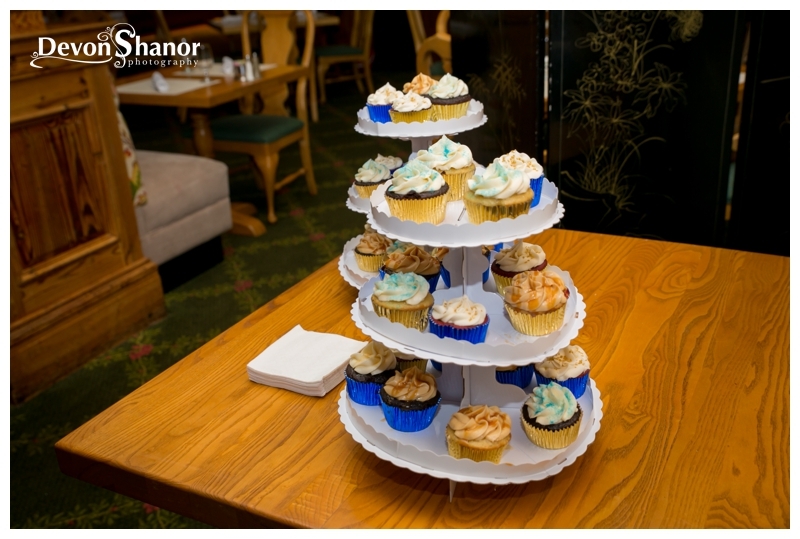 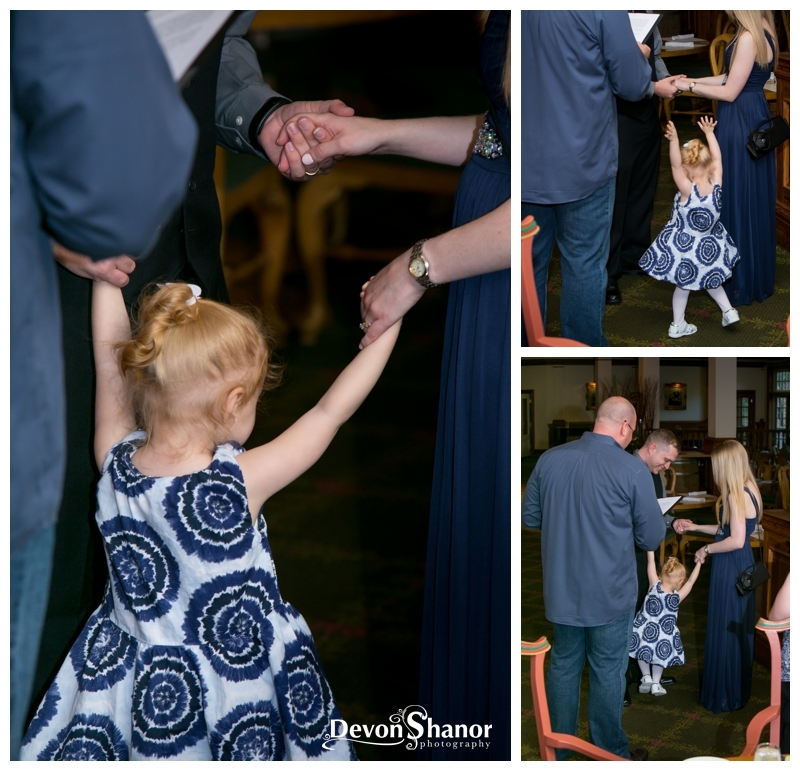 So when Steven called me and asked me to photograph a surprise wedding renewal for them, how could I say no? 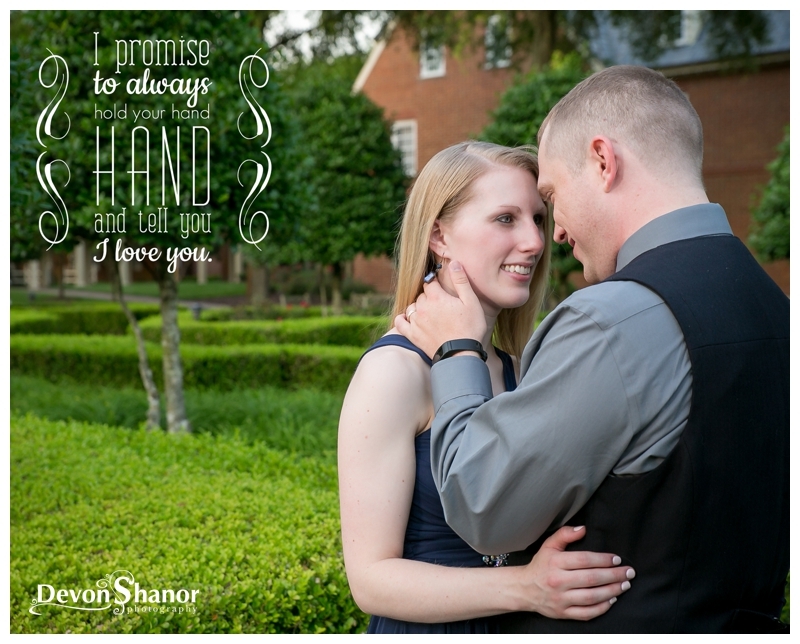 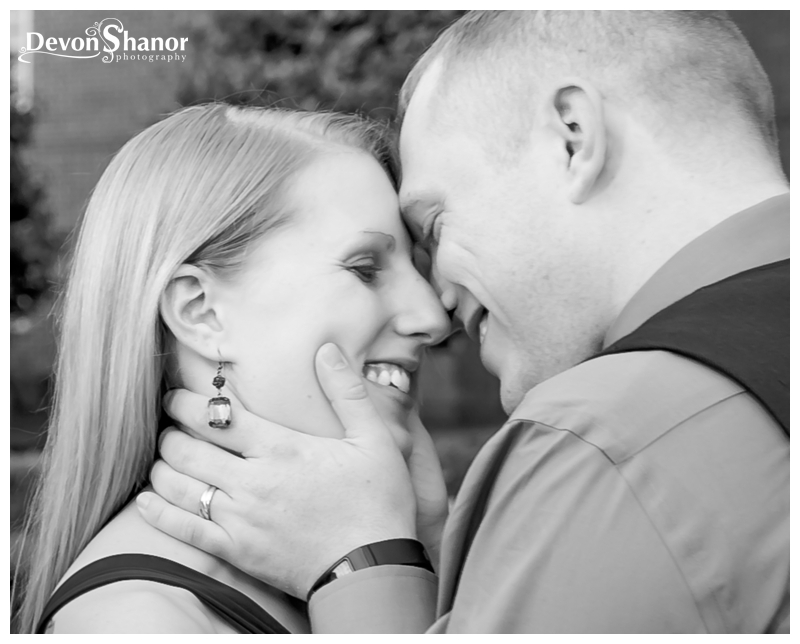 I LOVE surprises and I love Jenna, so I was super excited to photograph them saying “I Do” again! 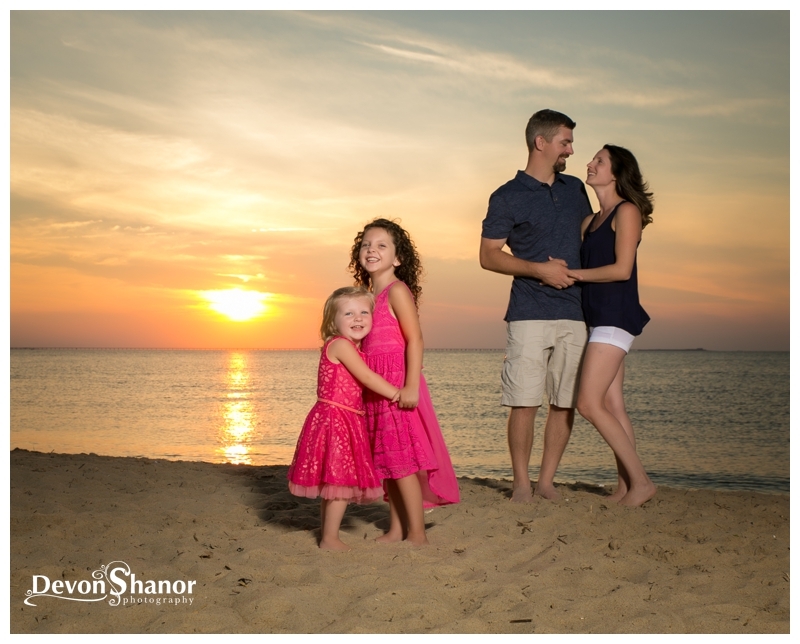 I LOVE seeing my families grow! 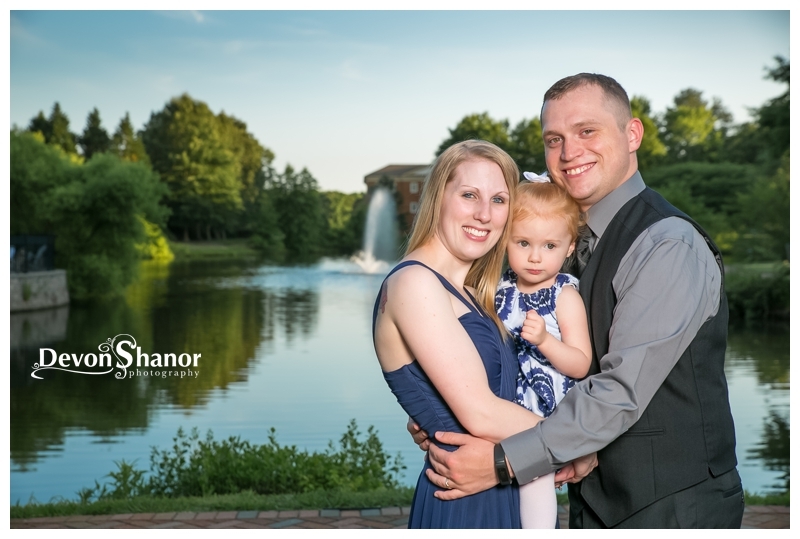 It has been a few years since I photographed Jake and Brittany’s family… and since then they have added Kenzie! 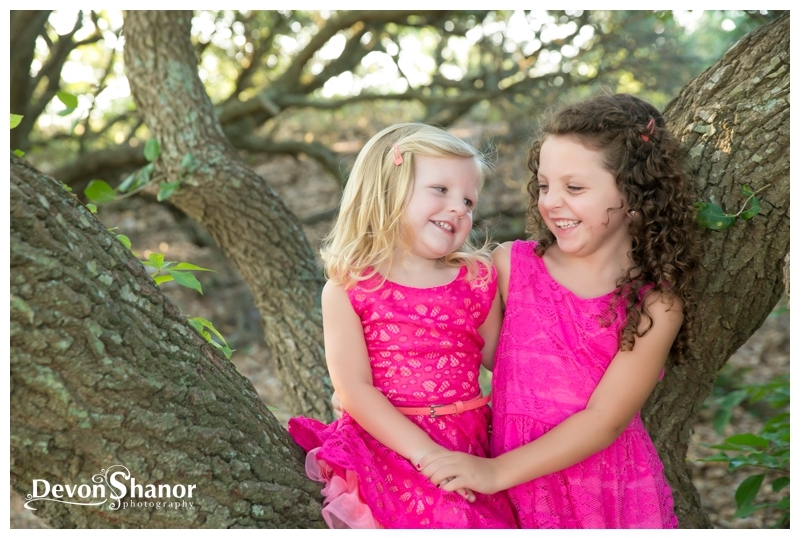 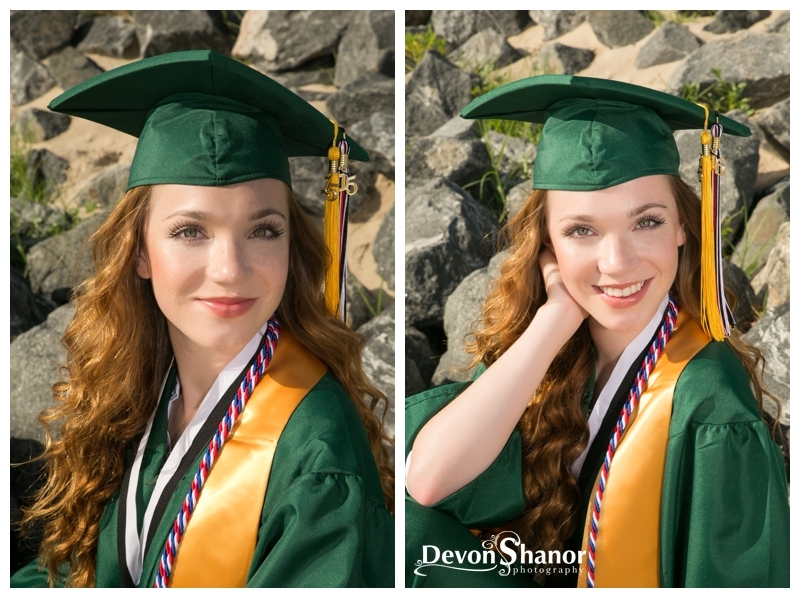 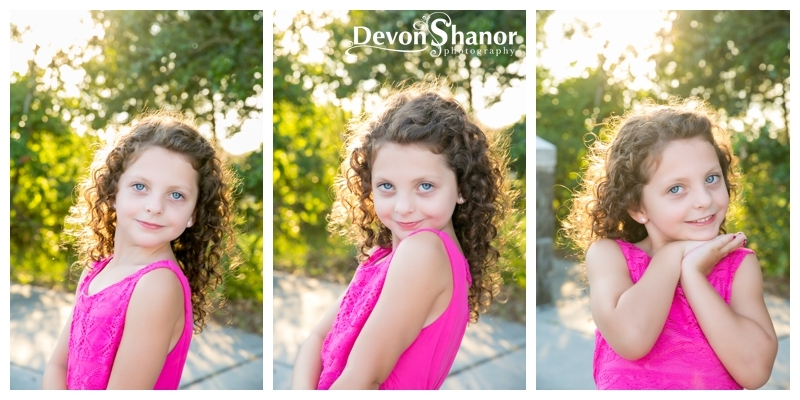 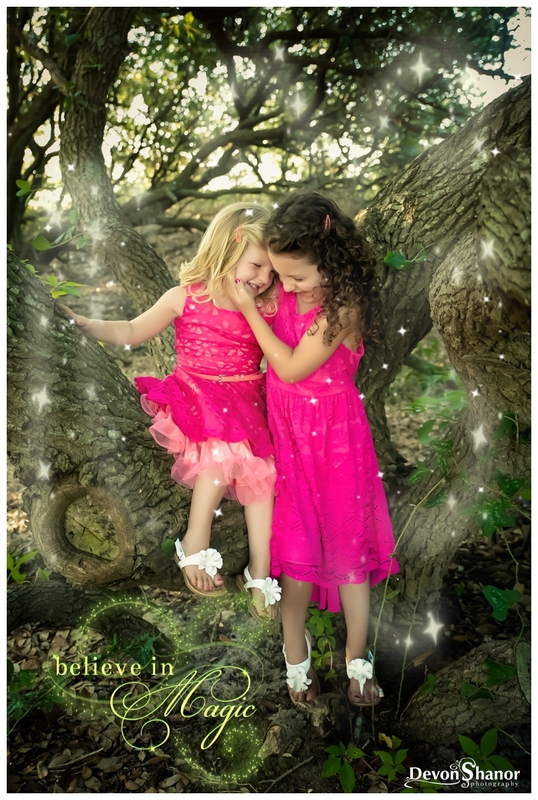 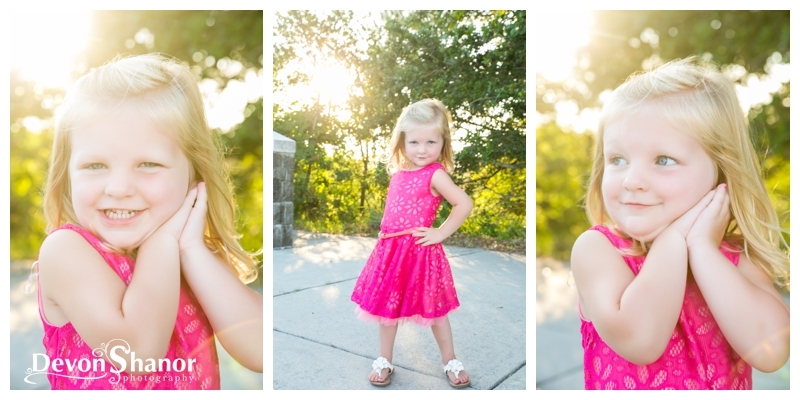 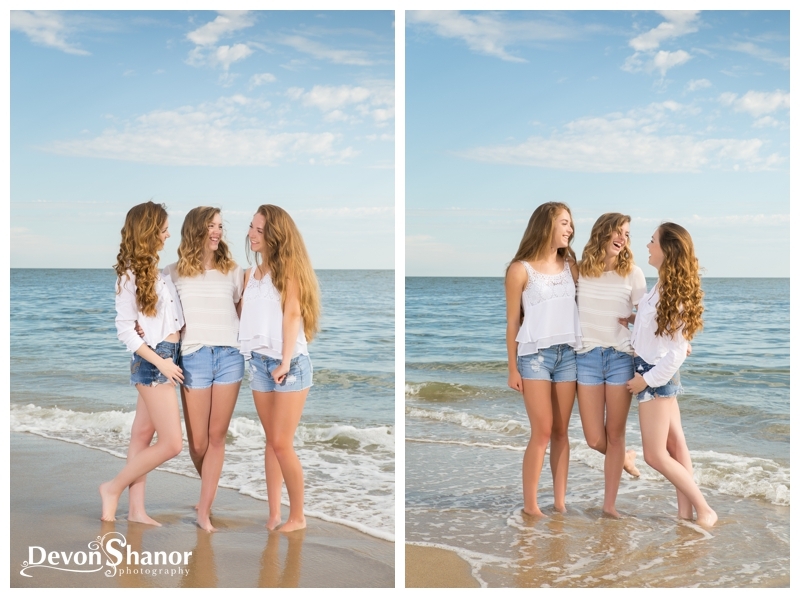 So it was such a joy to photograph them again and I have to say, these girls LOVE to model! 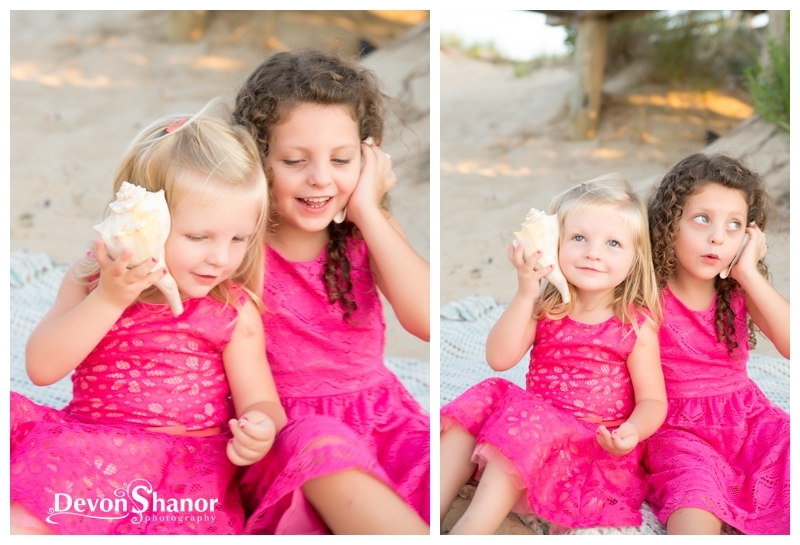 Usually I have to fight to keep little ones just looking at the camera… with Kenzie and Kira it was hard to get them to STOP posing! 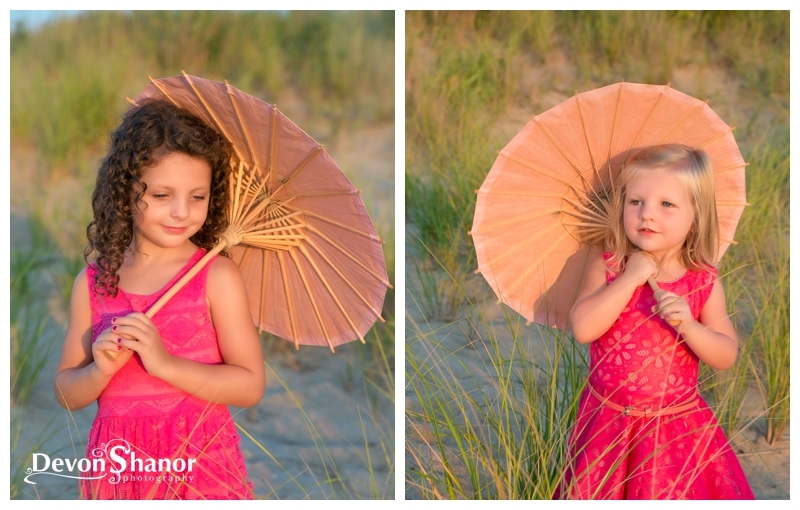 Future little models I think for sure! 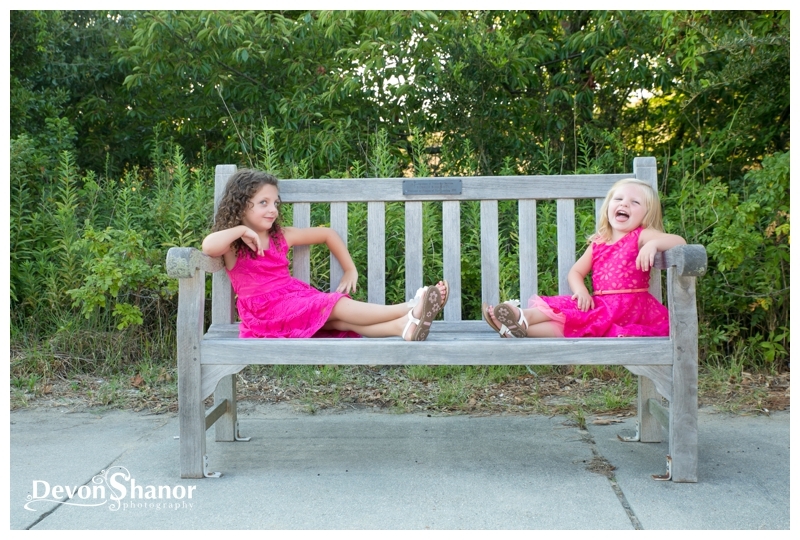 They loved the camera and were SO MUCH FUN to photograph. 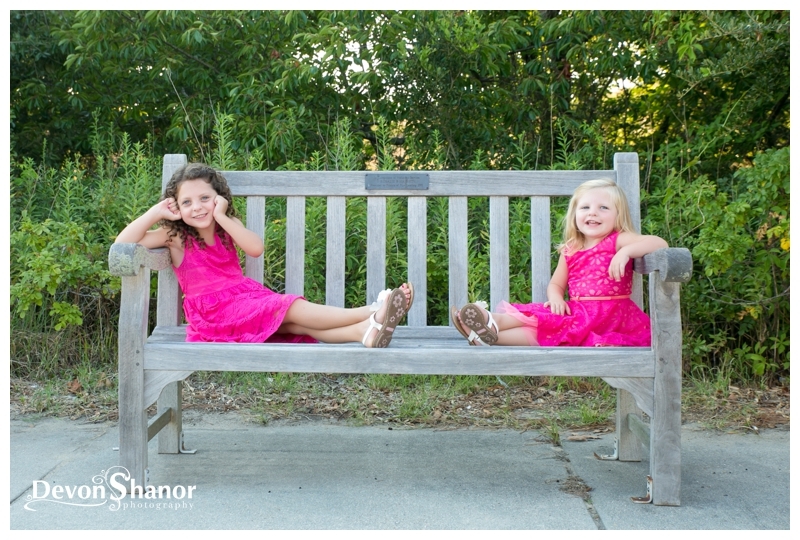 The next kids I photograph have large shoes to fill! 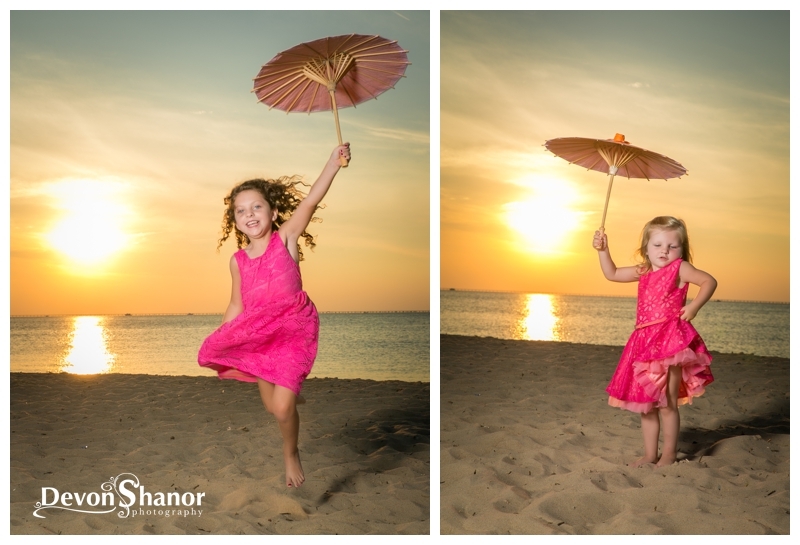 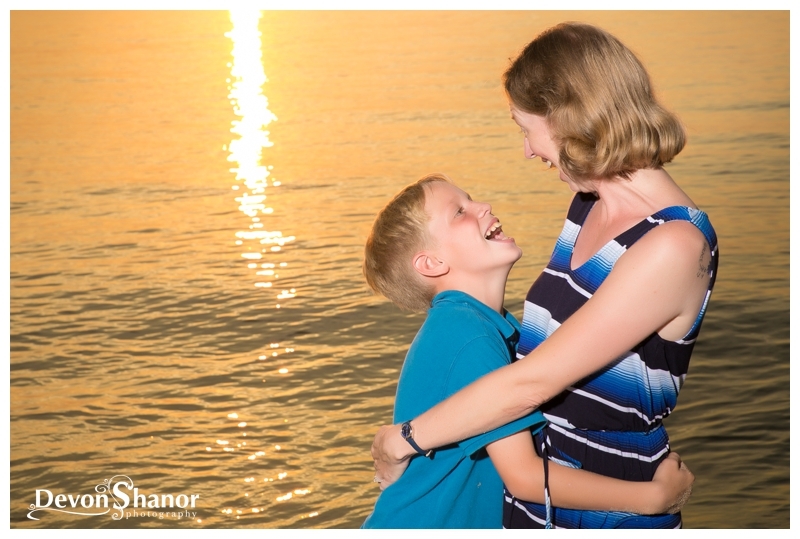 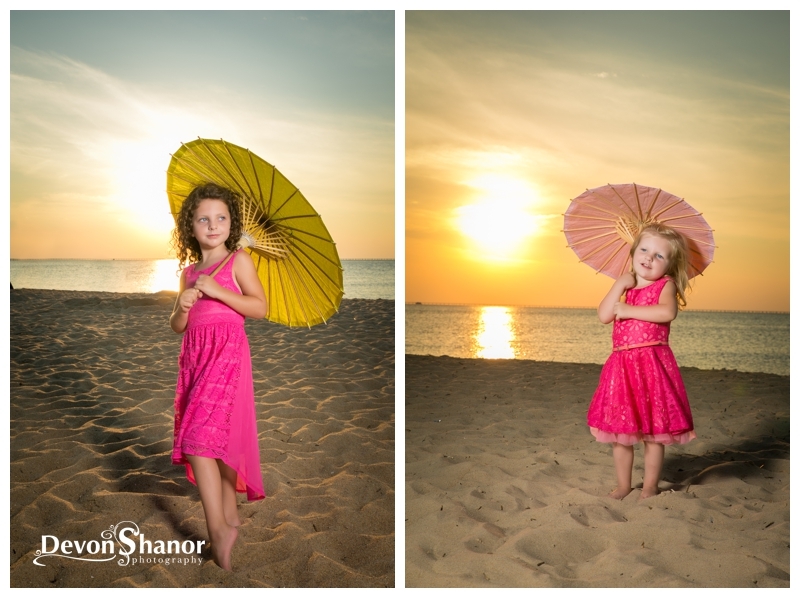 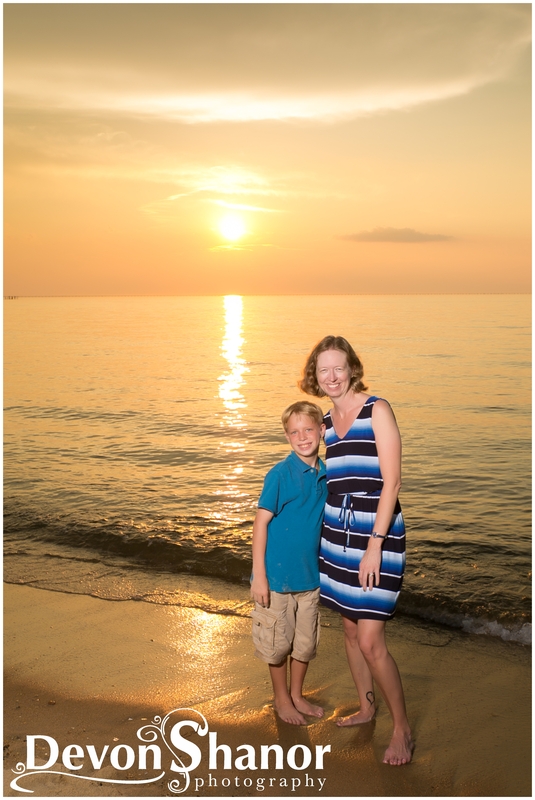 We had such a blast climbing trees and sand dunes, playing with umbrellas and seashells and enjoying a beautiful sunset. 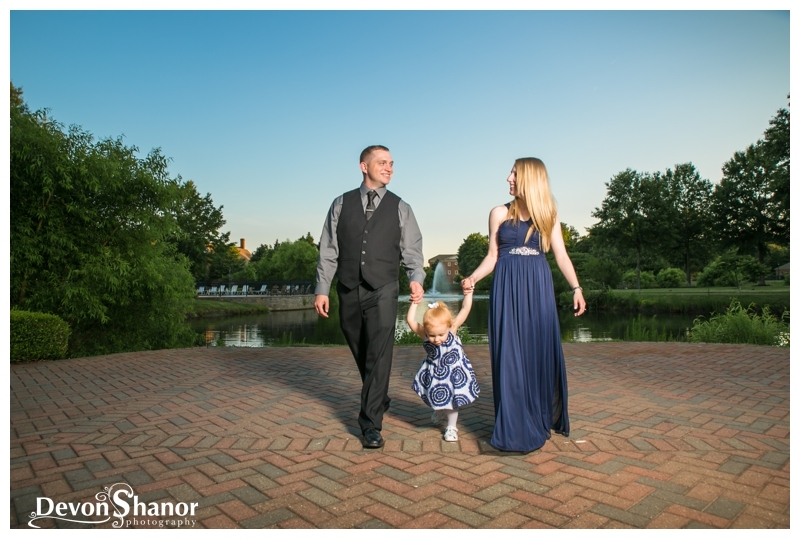 Thanks Jake and Brittany for trusting me again with capturing your beautiful family! 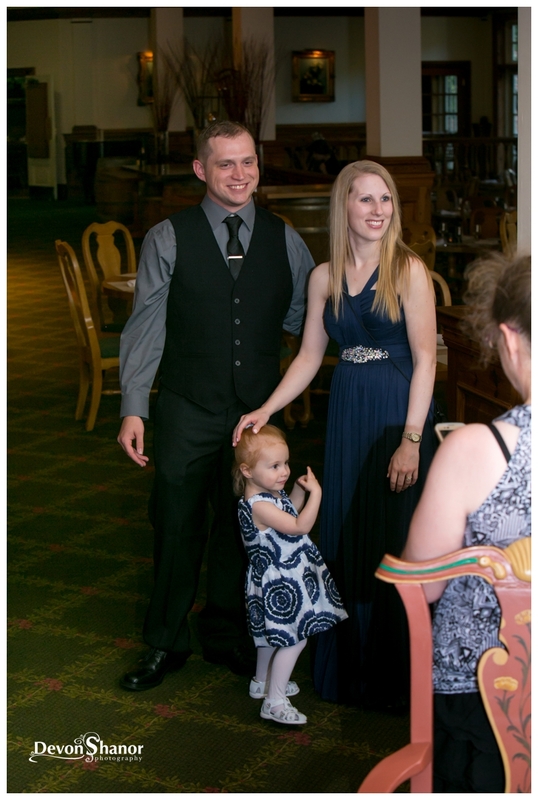 I love this family! 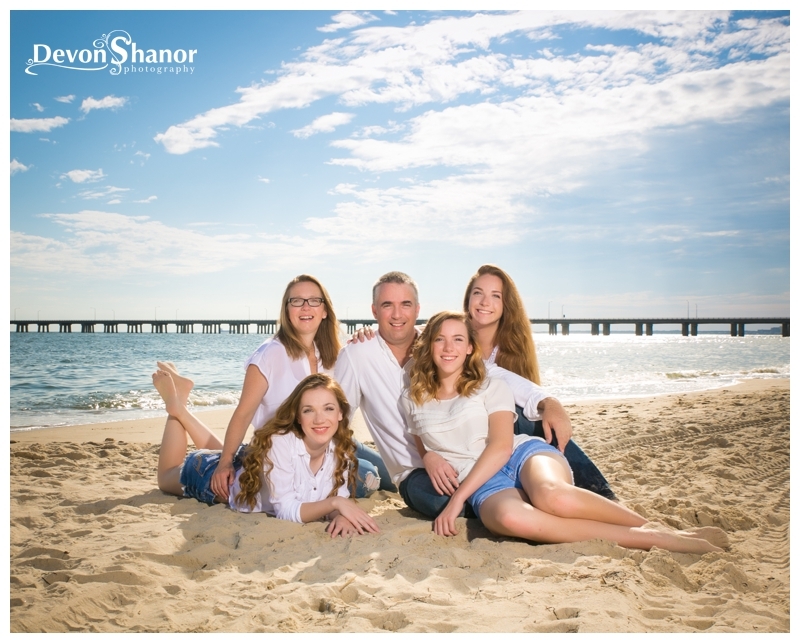 We have so much in common with our kids being about the same ages and Christina and I are heading on a mission trip to Ethiopia in just a few weeks! 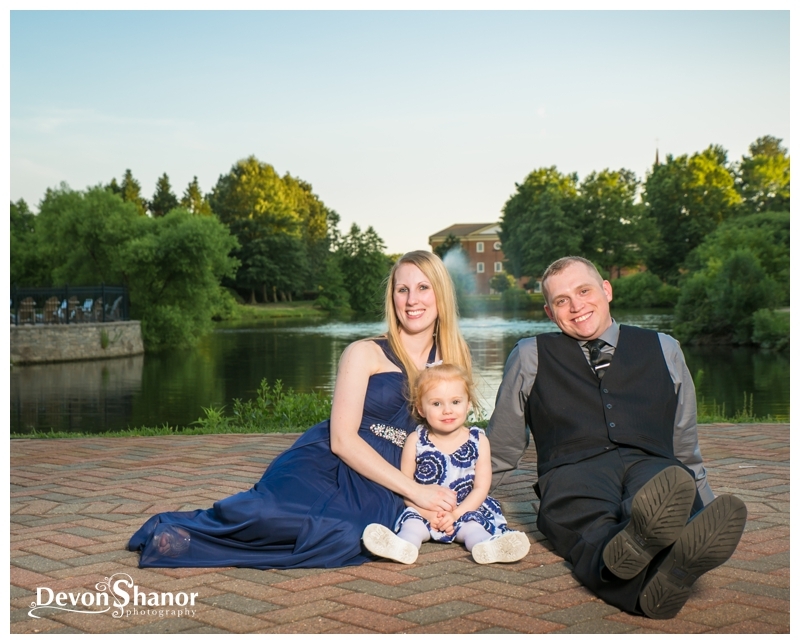 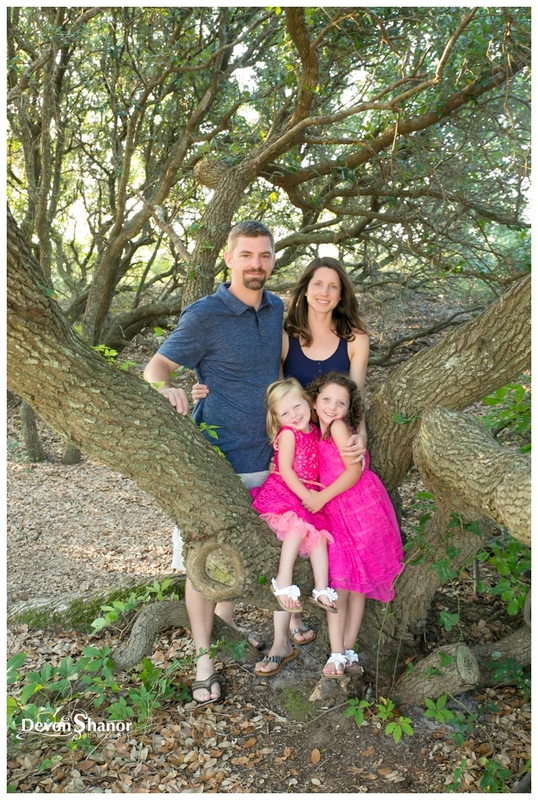 They are such a wonderful loving family and I was overjoyed when Christina called me to capture their family portraits. 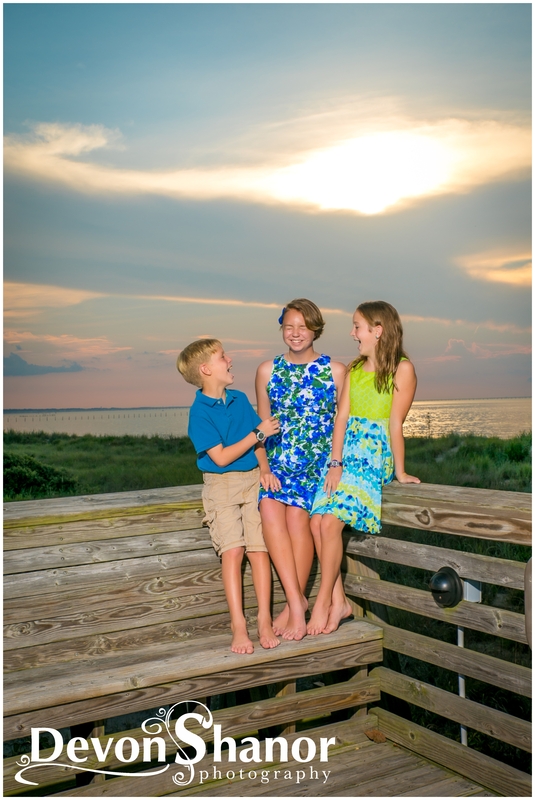 But then she told me their last family portraits we taken THIRTEEN YEARS AGO! 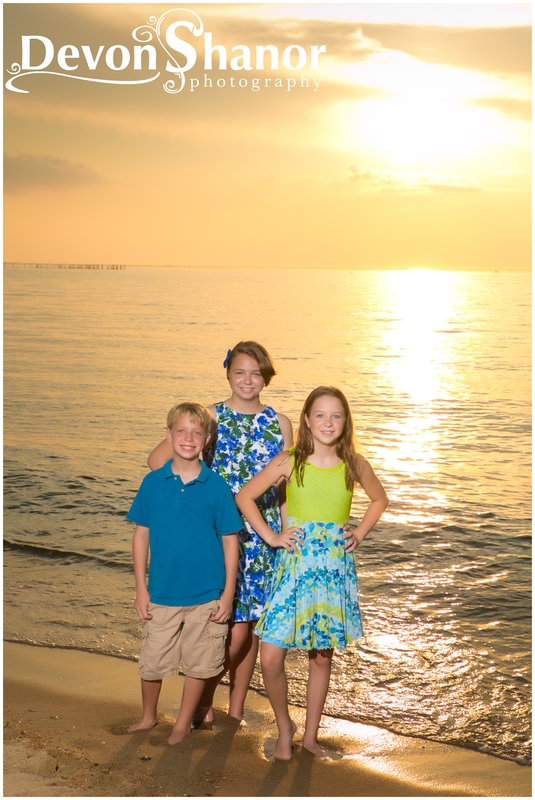 That mean big time pressure for me… this would be their first professional pictures since both Max and Clara had been added to the family! 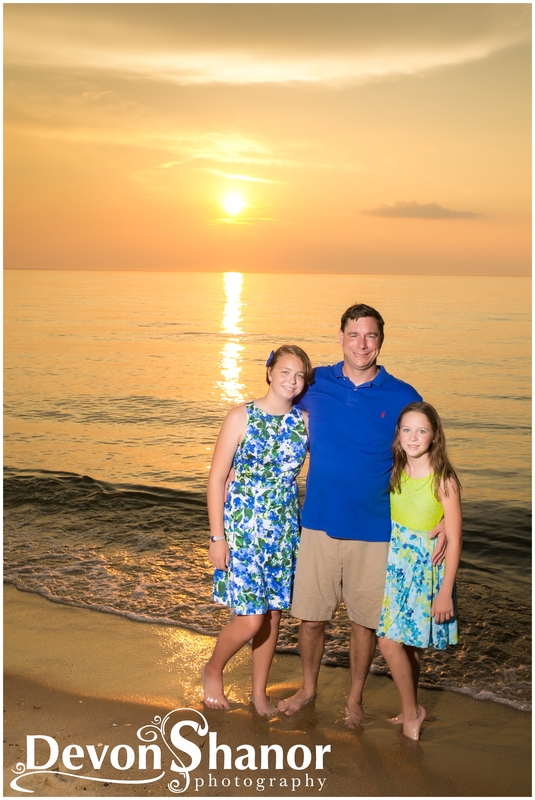 The day came and God provided us with a beautiful day and an incredible sunset. 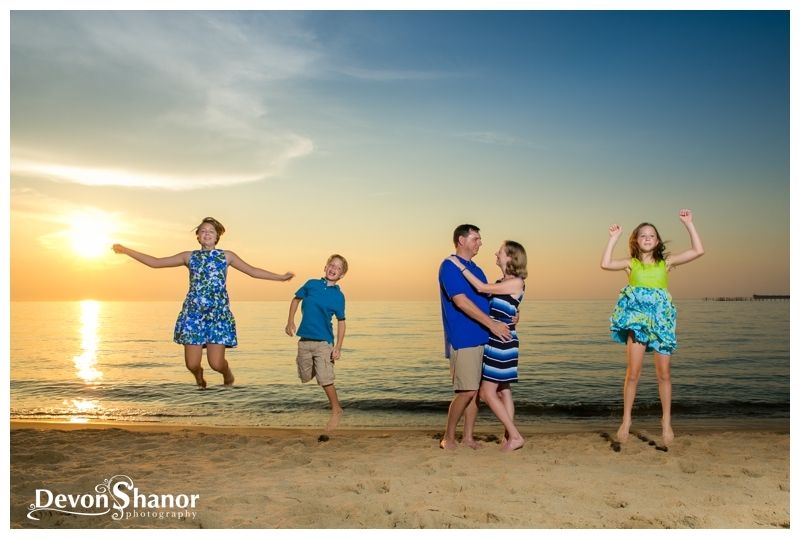 The kids were excited to take pictures prepared to have some fun! 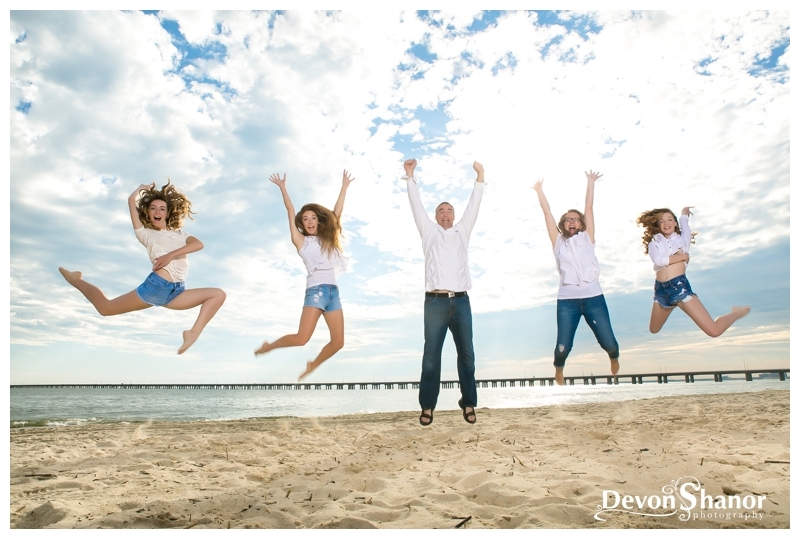 I loved when I was trying to get the kids to smile and told a joke… everyone laughed and Max encouraged me by saying “Good job Devon, just keep the jokes coming and this shoot will be easy!” Lol, what a riot! 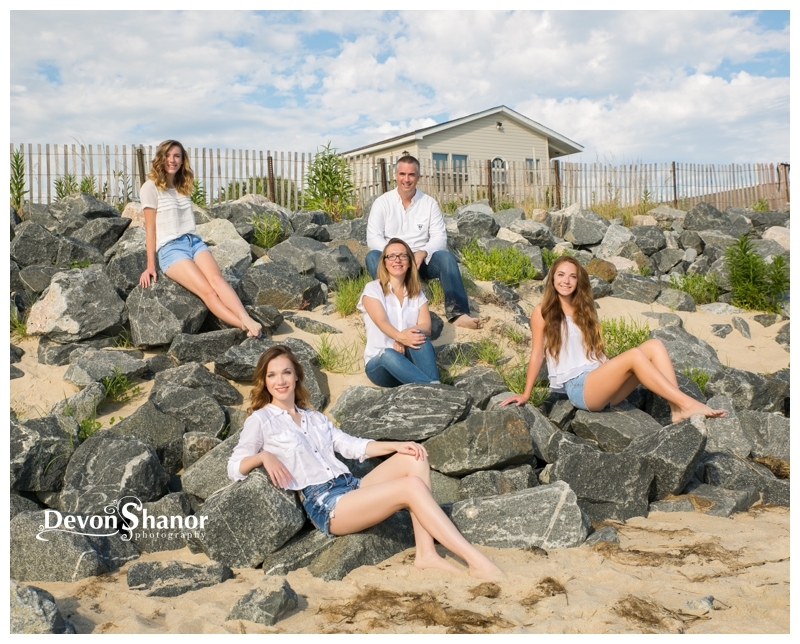 One really interesting thing about this shoot was that, they knew they wanted the beach, but were open to whichever beach I choose. 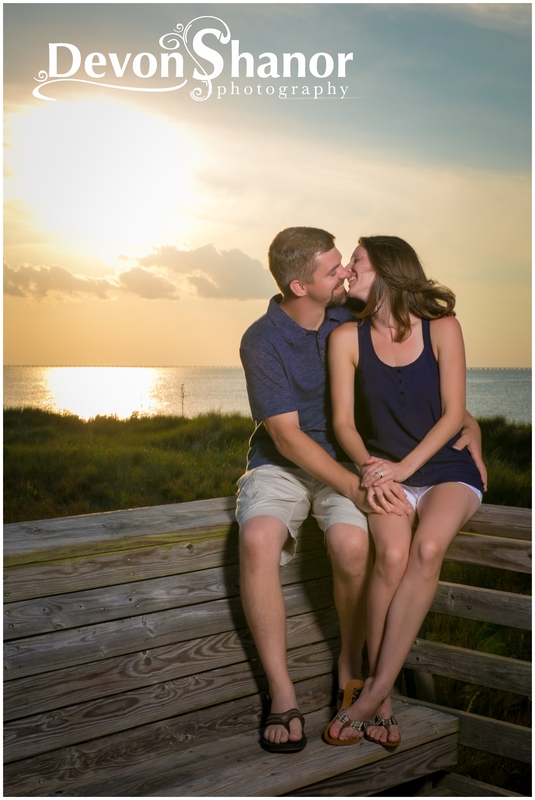 I choose First Landing State park as it has great sunsets. 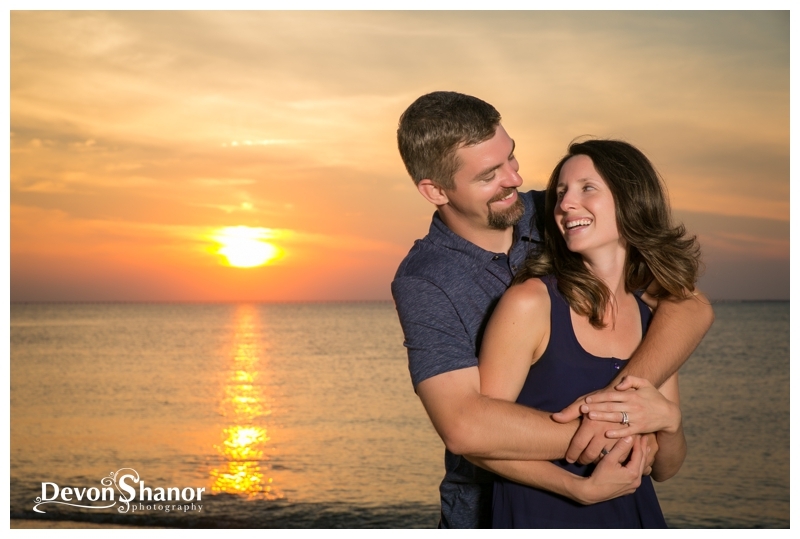 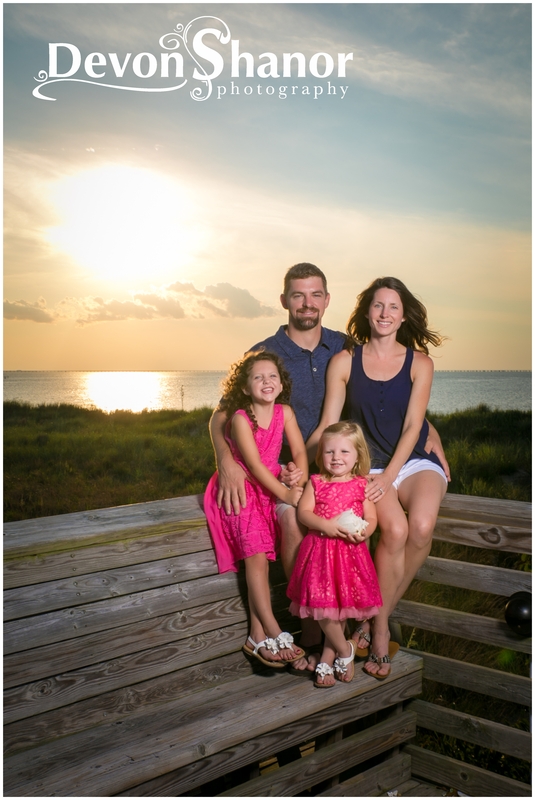 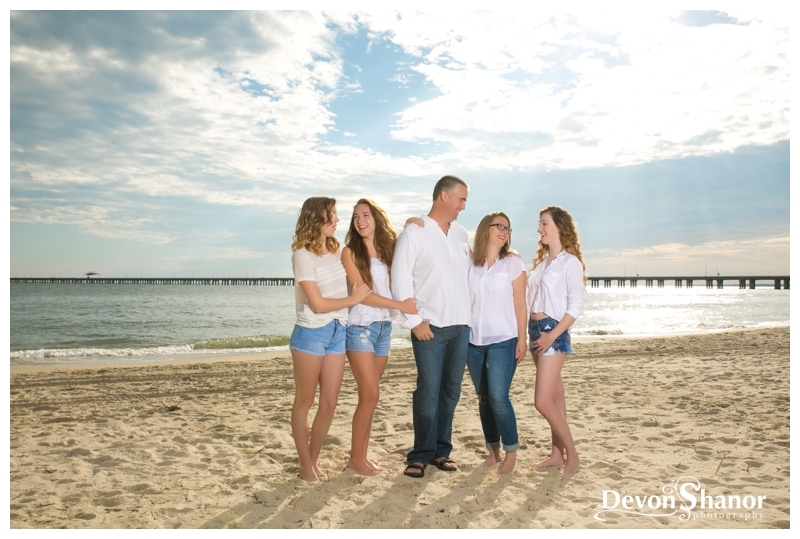 Later as we were viewing their images, Christiana told me that the Chesapeake Bay Bridge and Tunnel seen in the background of their images, has a very special place in the start of their family. 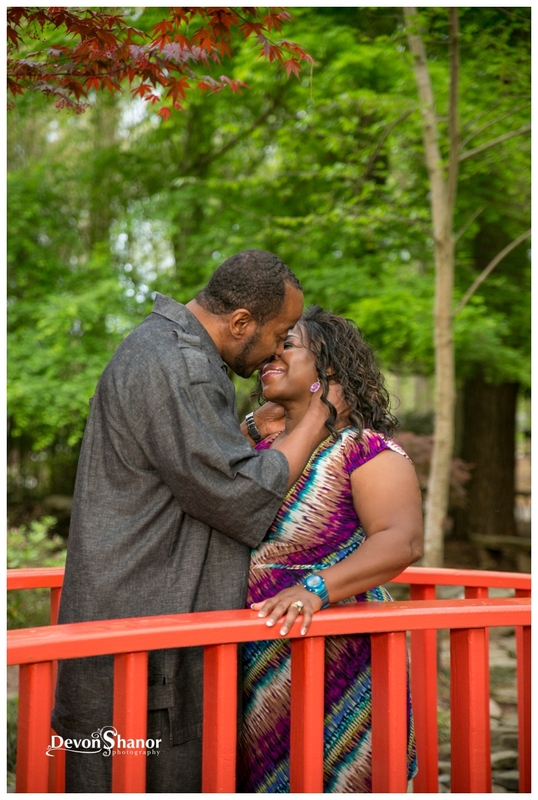 When they were first married they traveled that bridge weekly as family and work were on opposite sides. 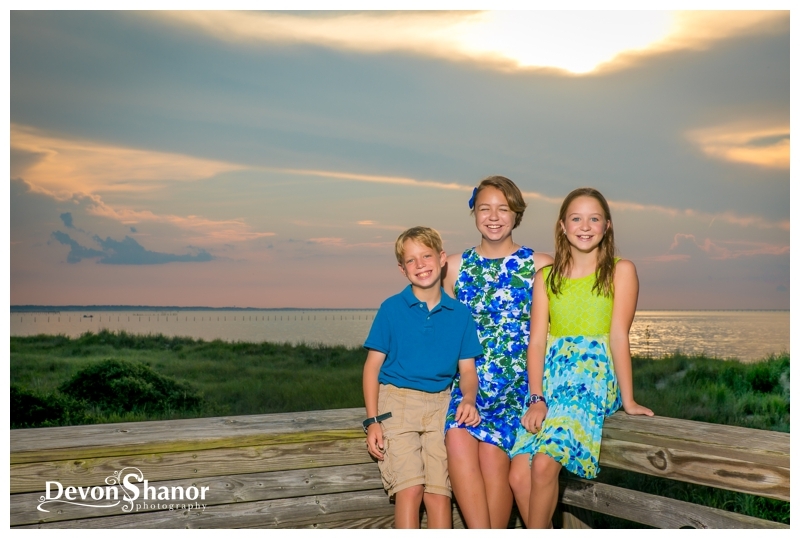 To have the bridge in the background of their portraits, 15 years later is pretty memorable… the fact that it happened on accident is just awesome. 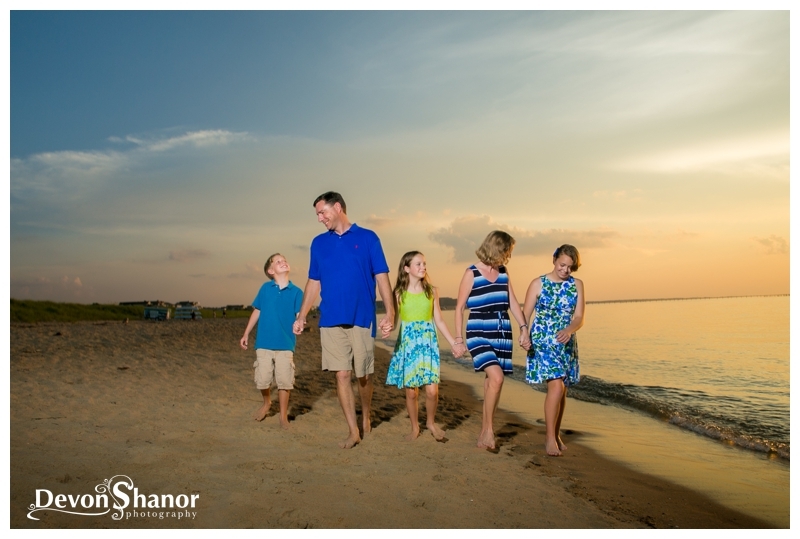 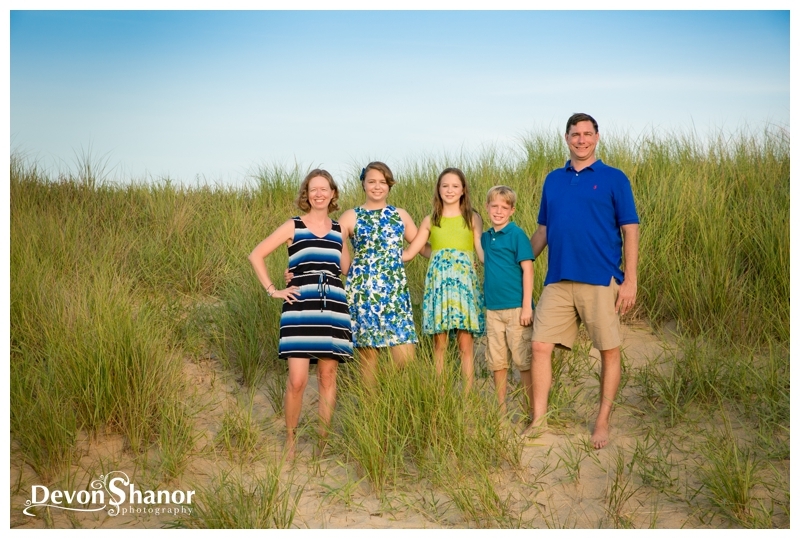 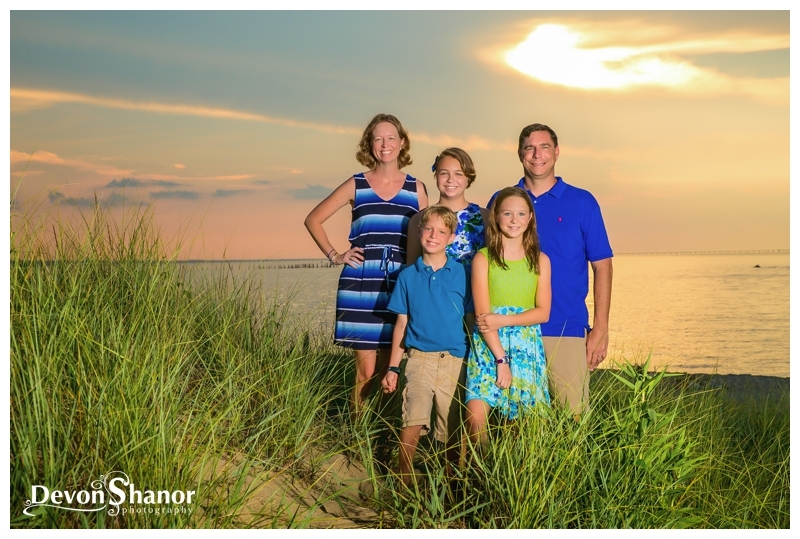 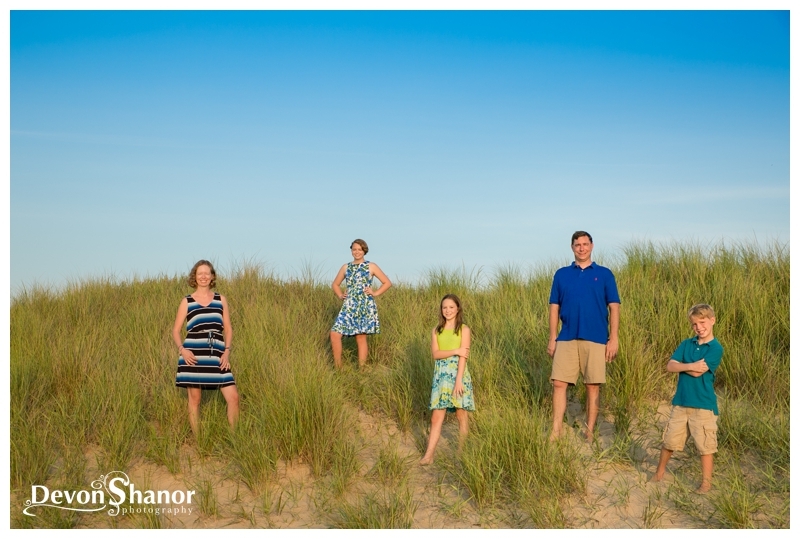 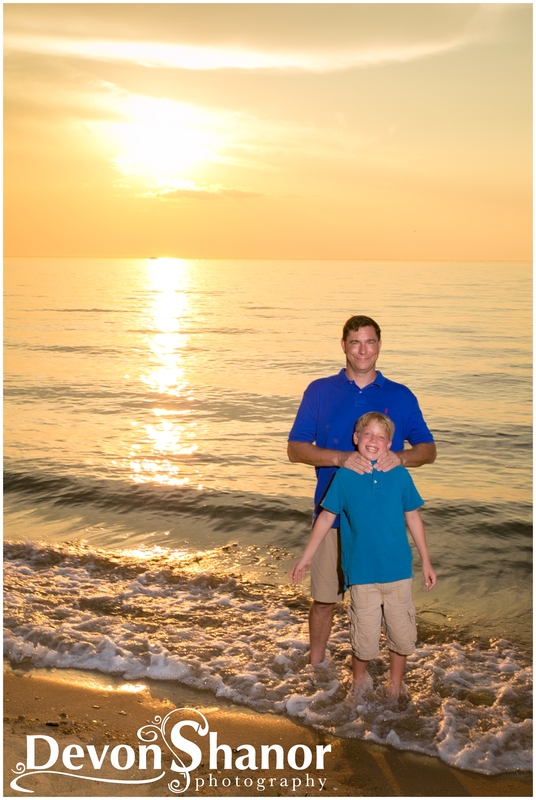 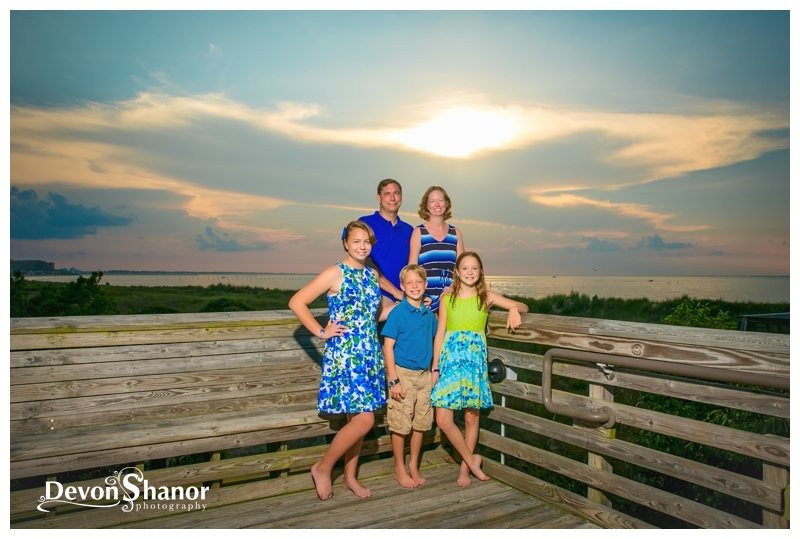 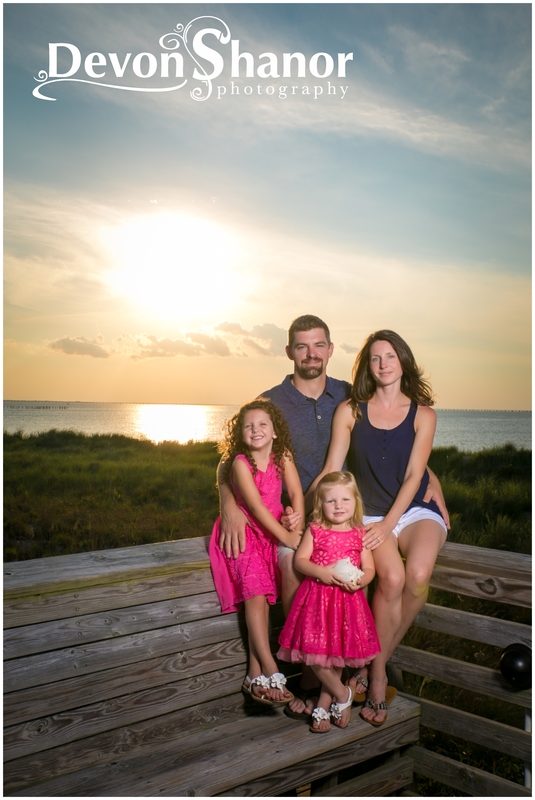 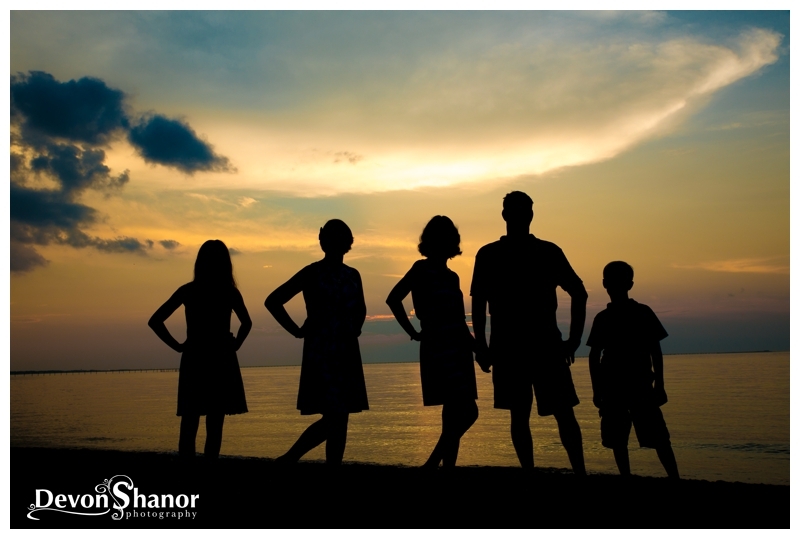 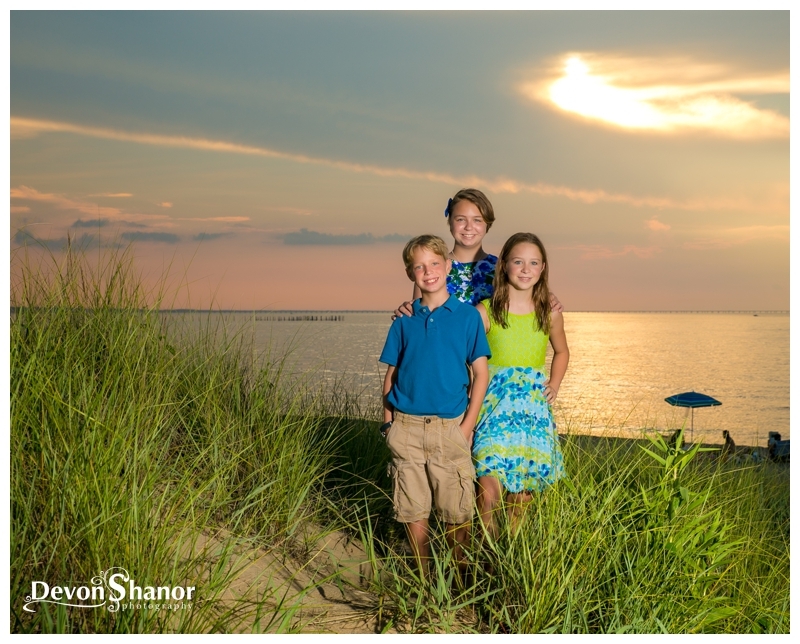 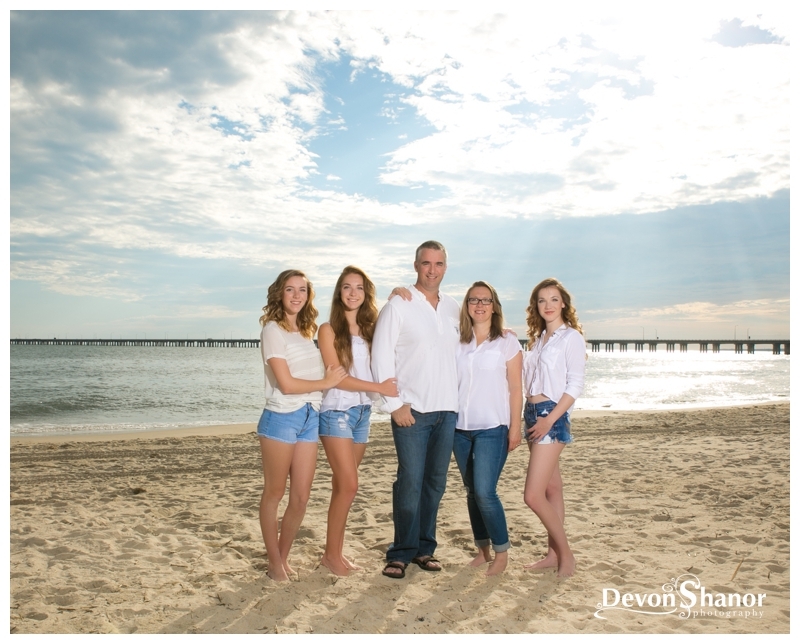 I have been blessed to know and photograph the Redden family while they lived here in Virginia Beach. 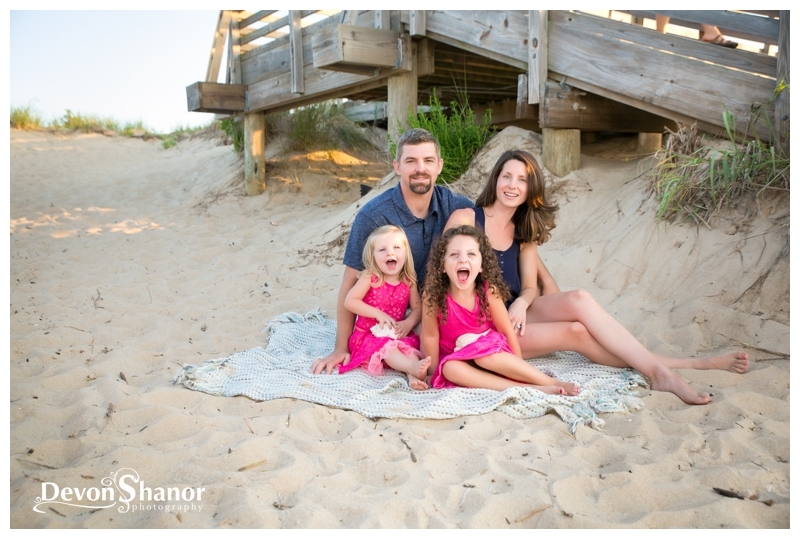 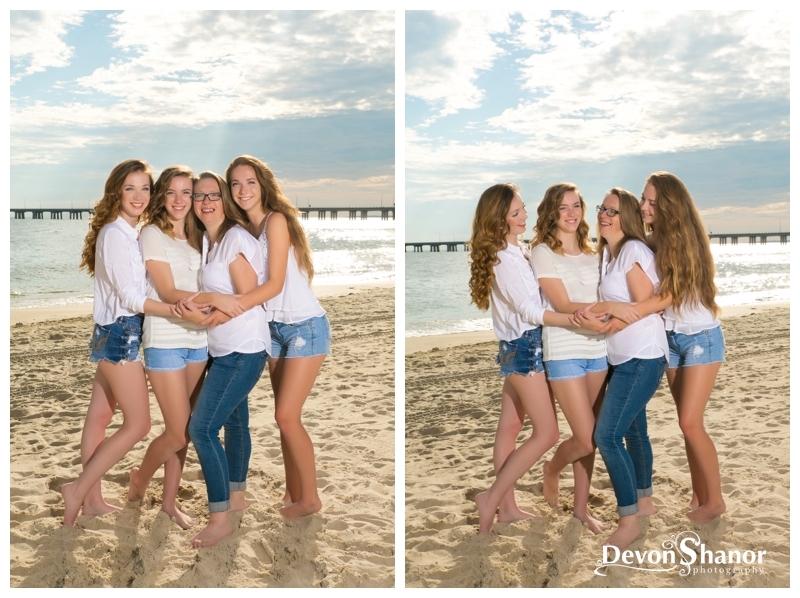 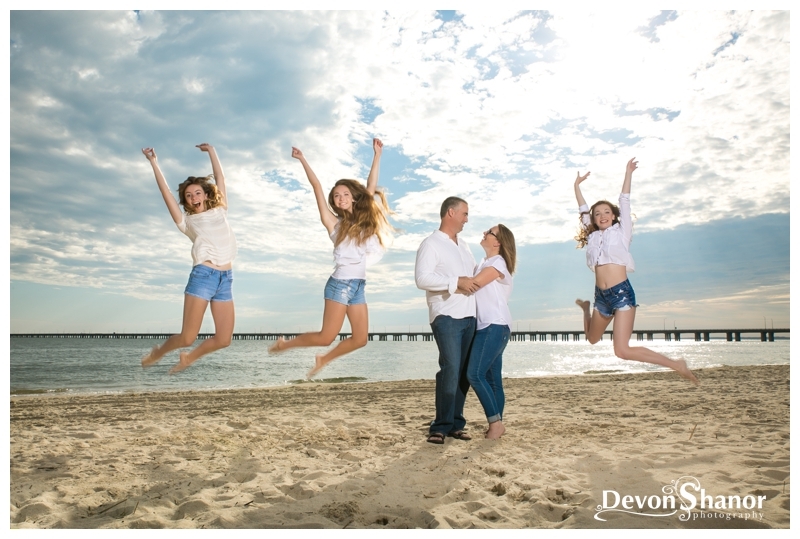 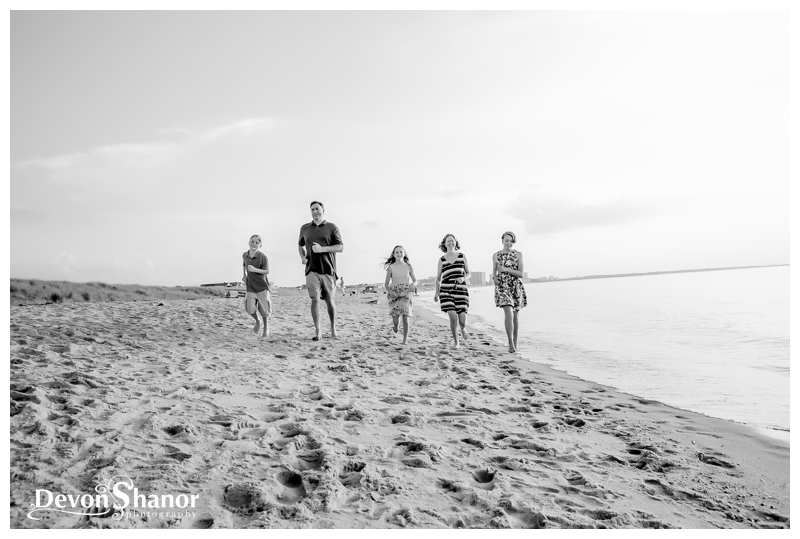 As they prepared to move and Juliette to head off to her first year in college, they decided the best way to say “Au Revoir” would be to capture the family on the beach near their house! 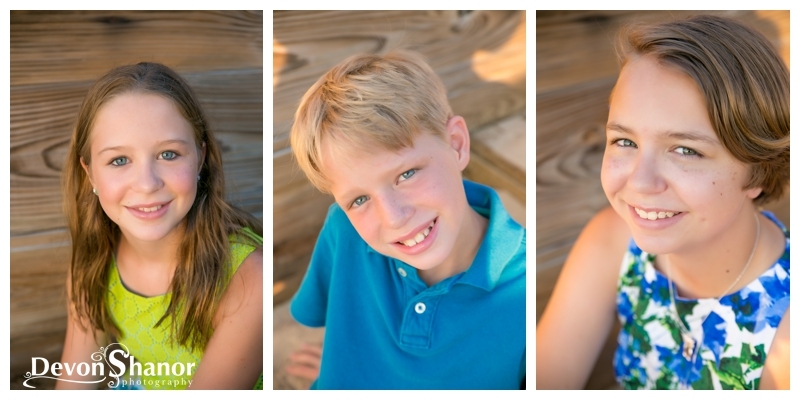 Some last portraits in the place they have called home for the past few years. 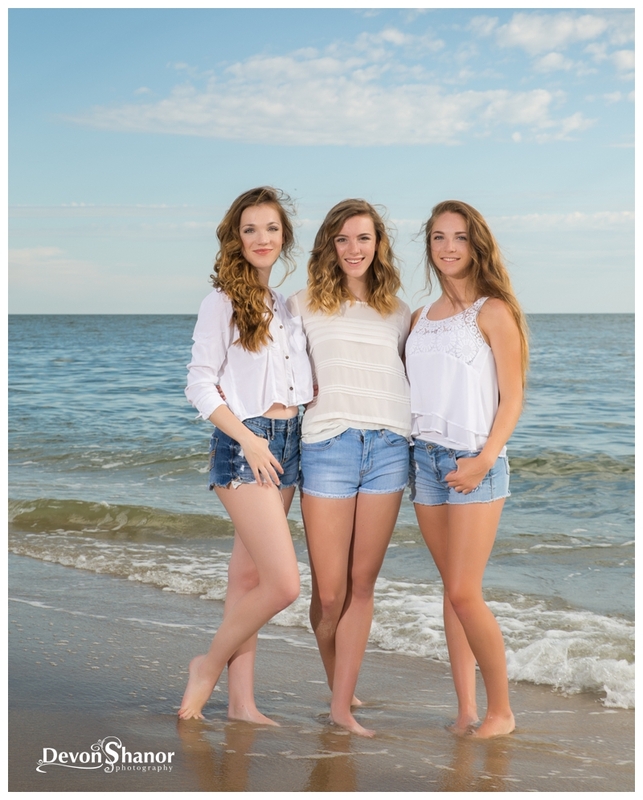 And when I say this was one of the last things they did in Virginia BEach, I mean it! 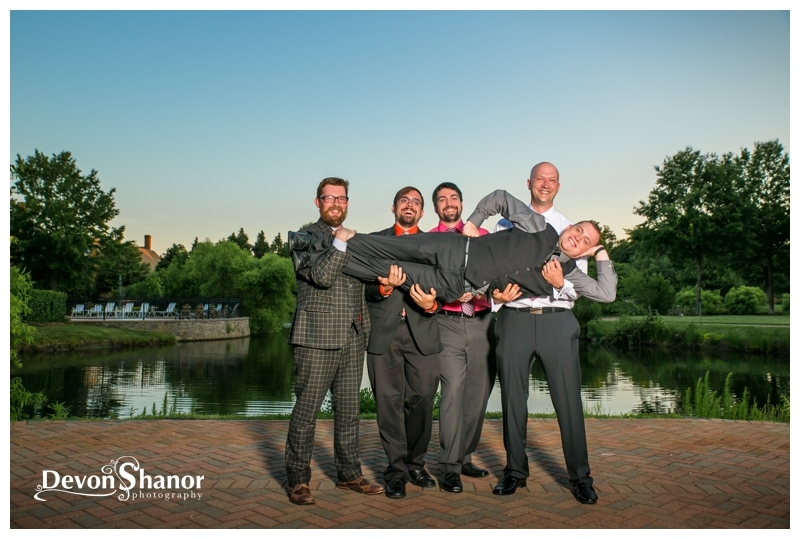 At the end of our session, the movers showed up to start packing the house! 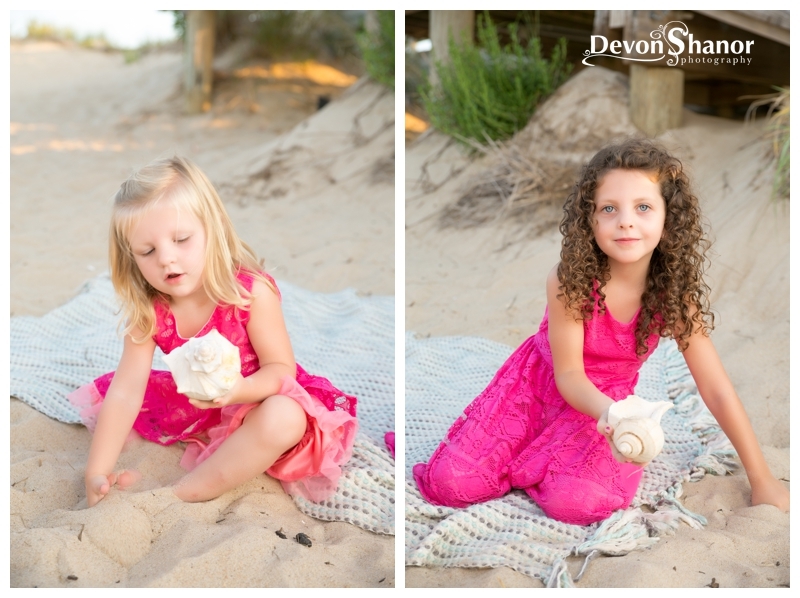 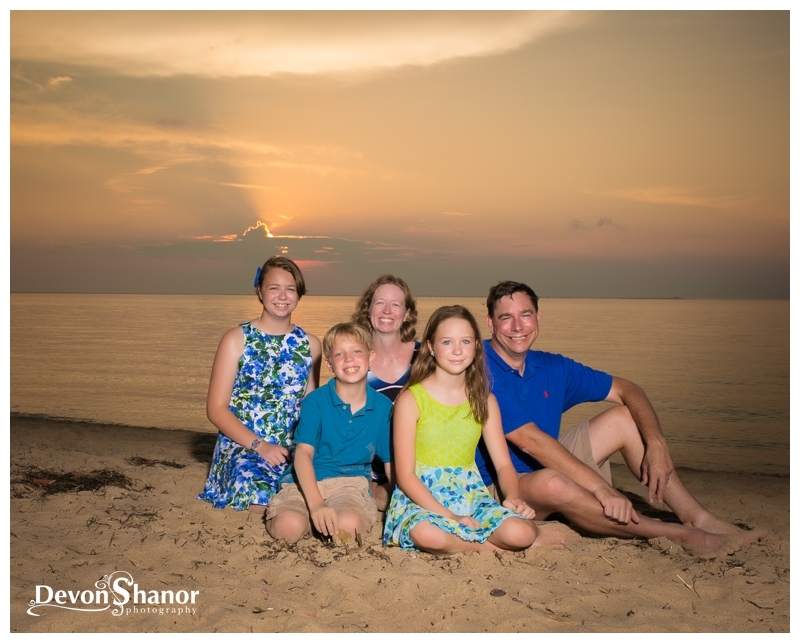 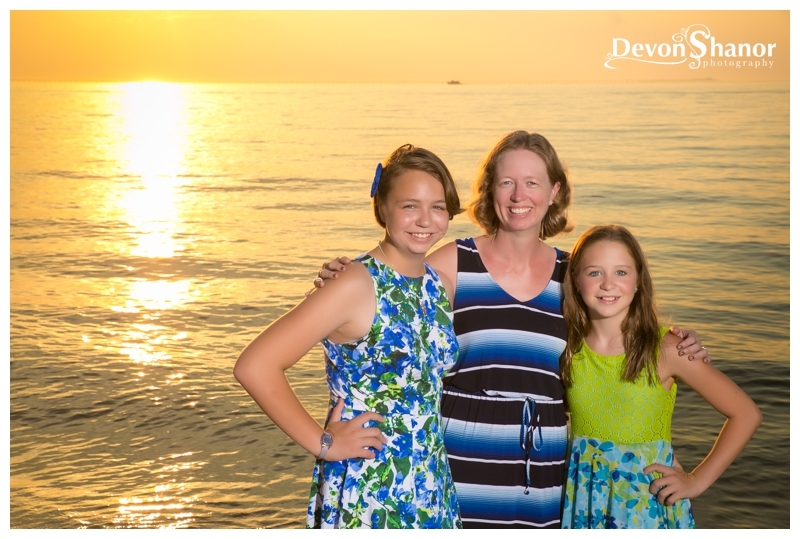 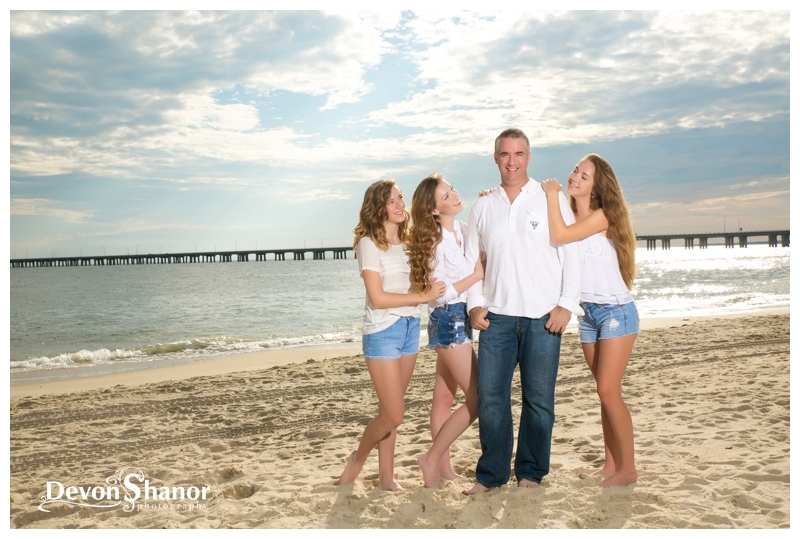 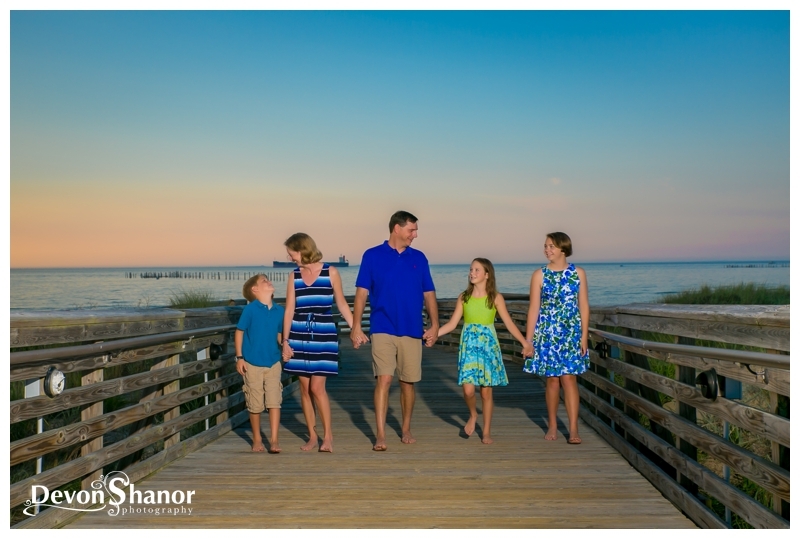 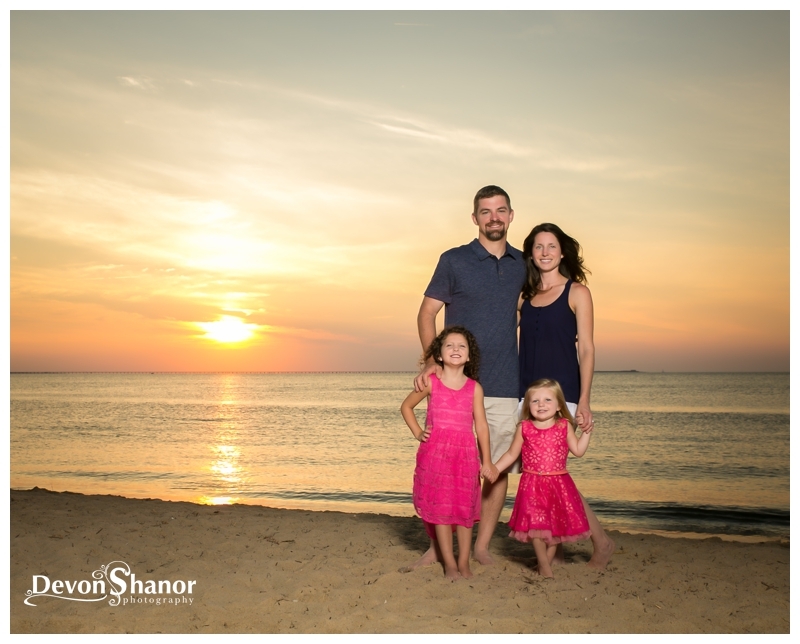 Three stunning daughters, a mom and dad not afraid to have some fun, a beautiful beach… yep- it was a dream session for me! 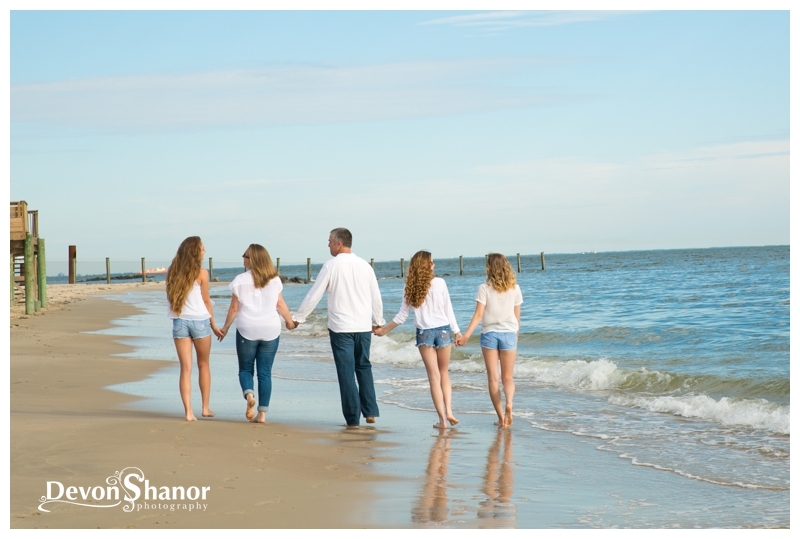 To the whole Redden family, I hope your trips have been wonderful and without too much drama! 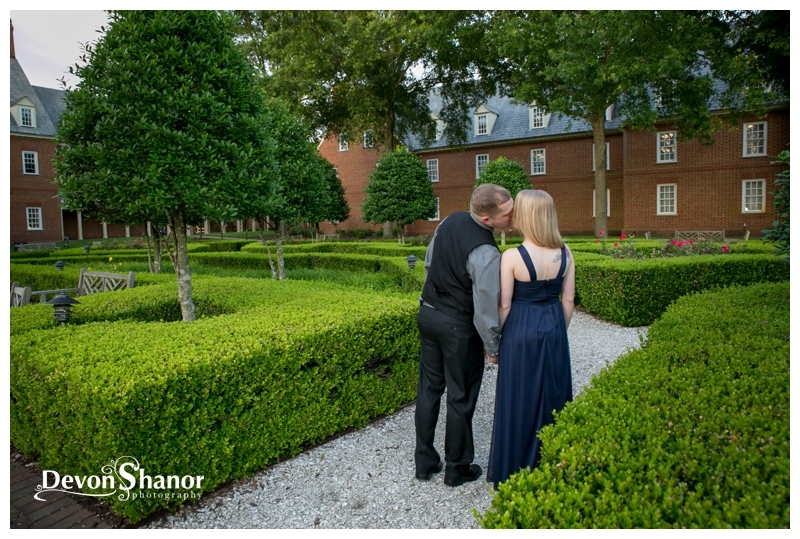 I hope you make lots of new friends and find lots of joy in your new home. 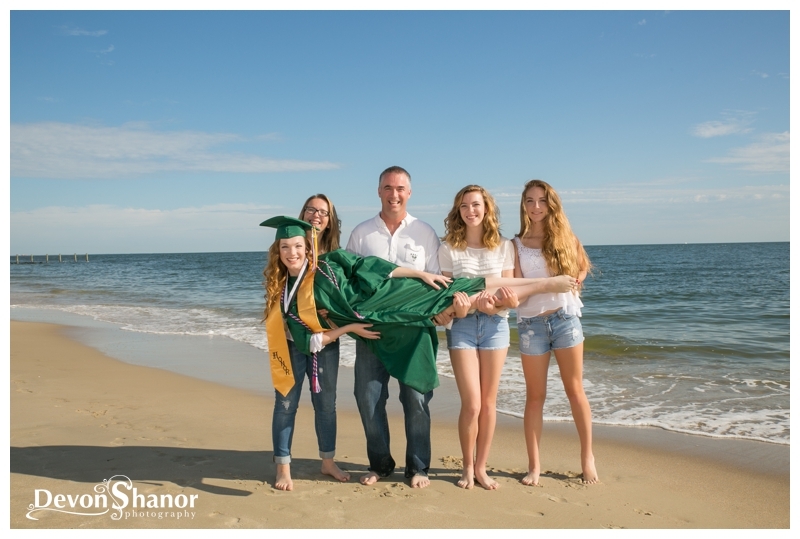 Thanks for trusting me with you last moments in Virginia Beach. 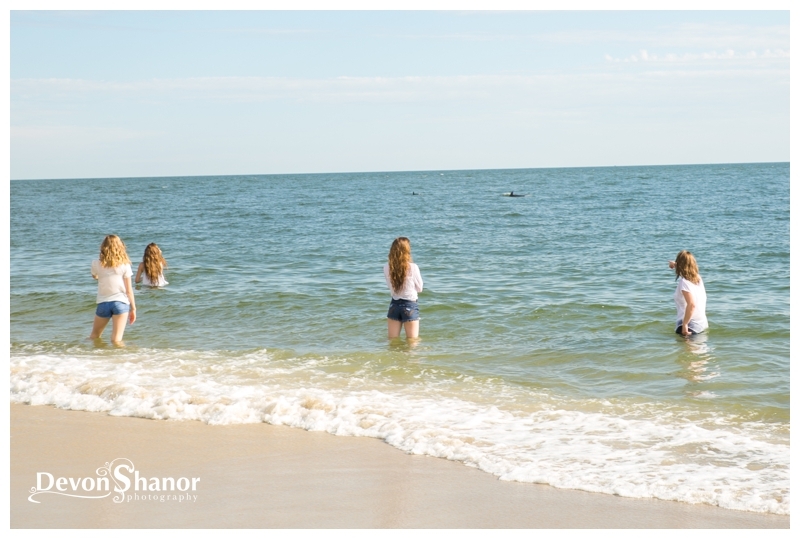 I had such a wonderful time and dolphins even showed up at the end to say goodbye! 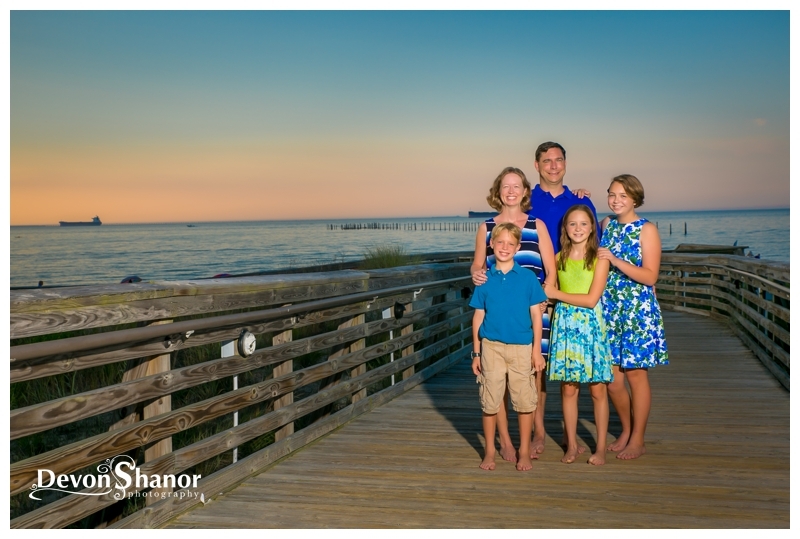 We will all miss you here! 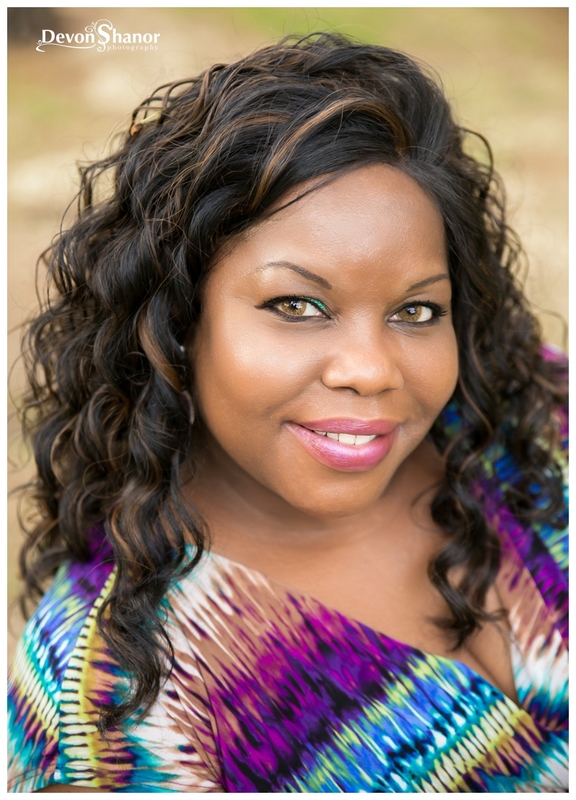 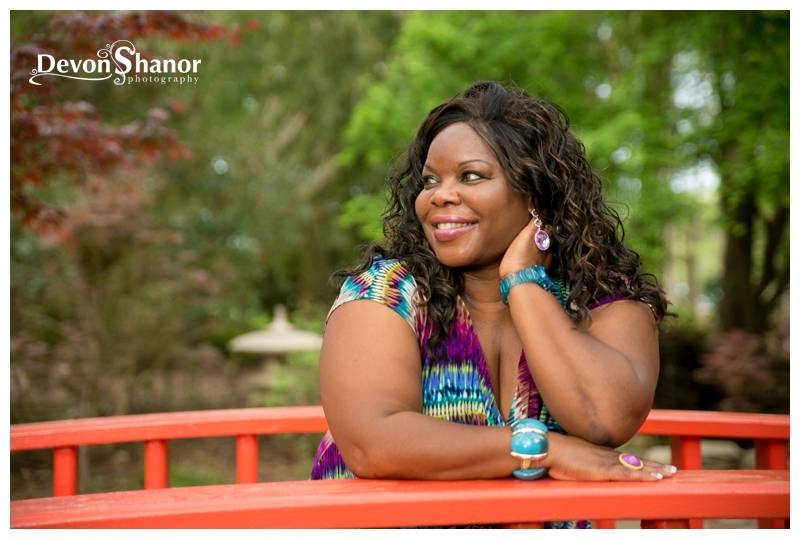 Meet, Carla… fifty and FABULOUS! 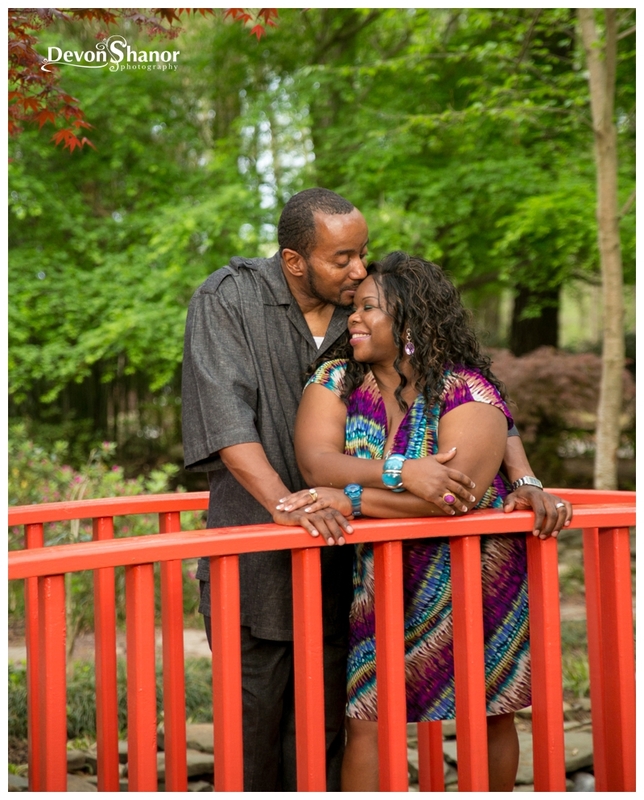 Carla contacted me and wanted to celebrate turning fifty with a photoshoot and I thought that was an amazing idea! 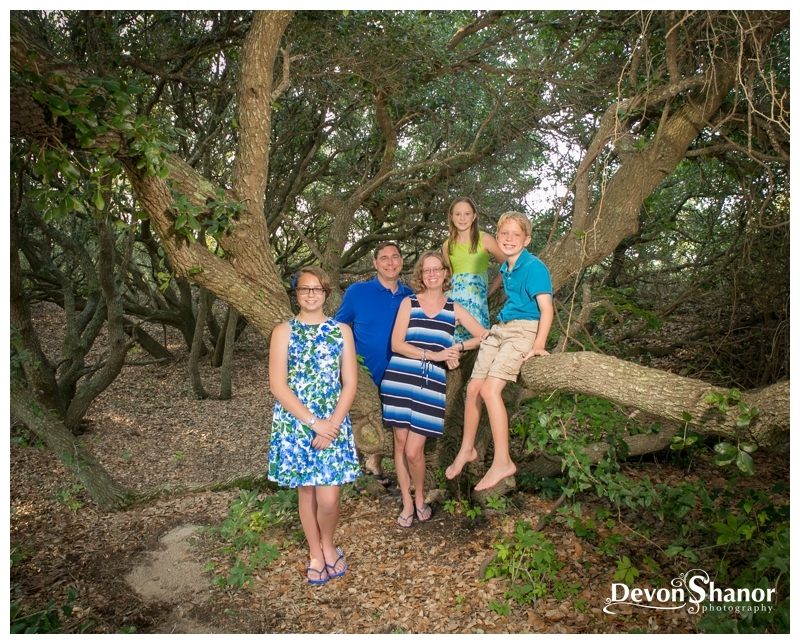 We had such a great time at Red Wing Park in Virginia Beach. 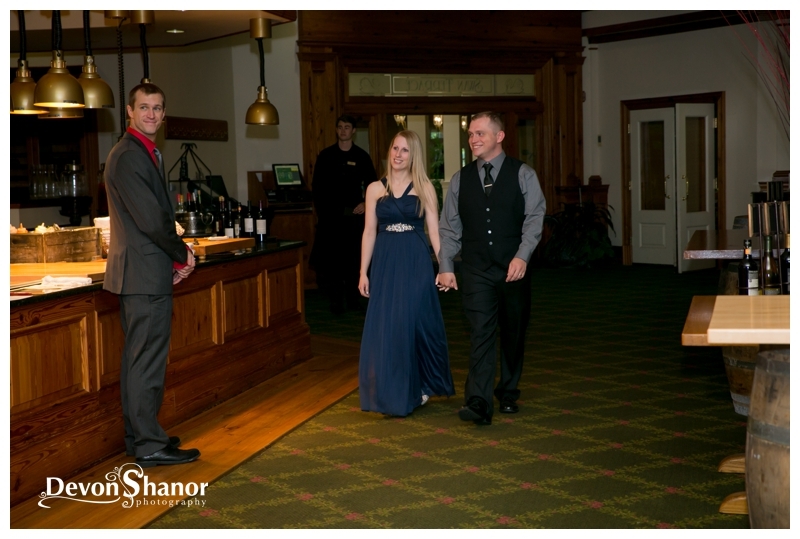 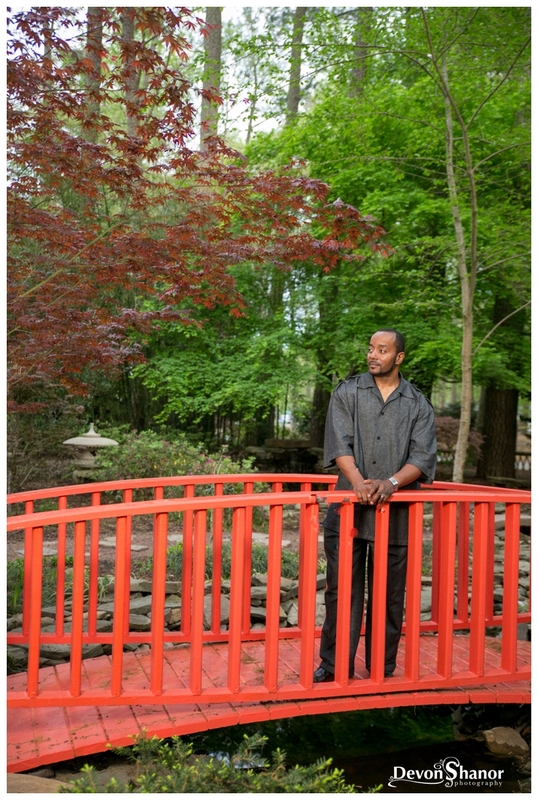 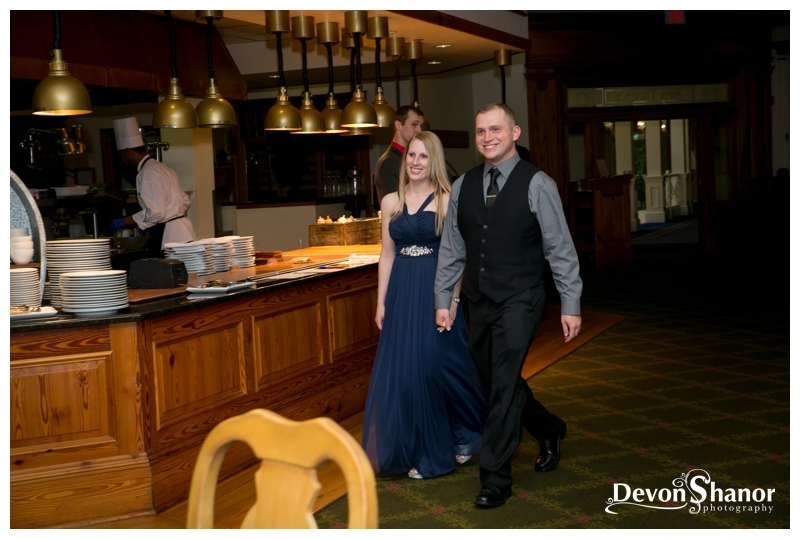 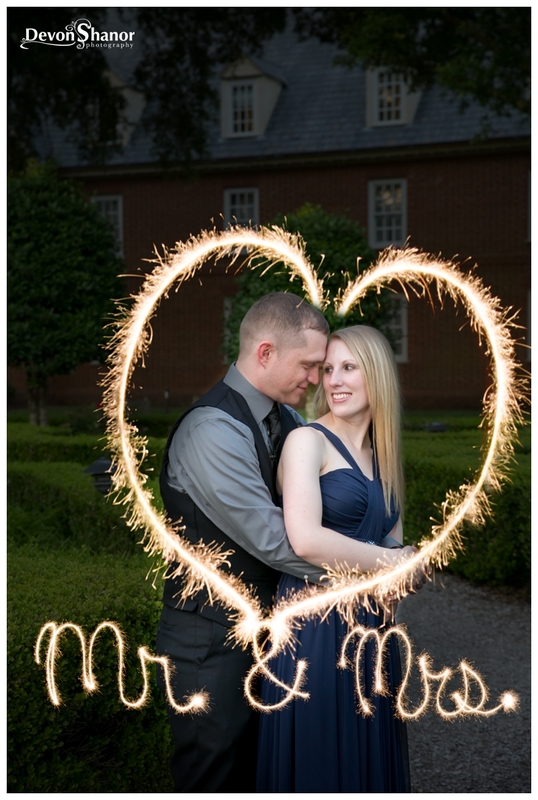 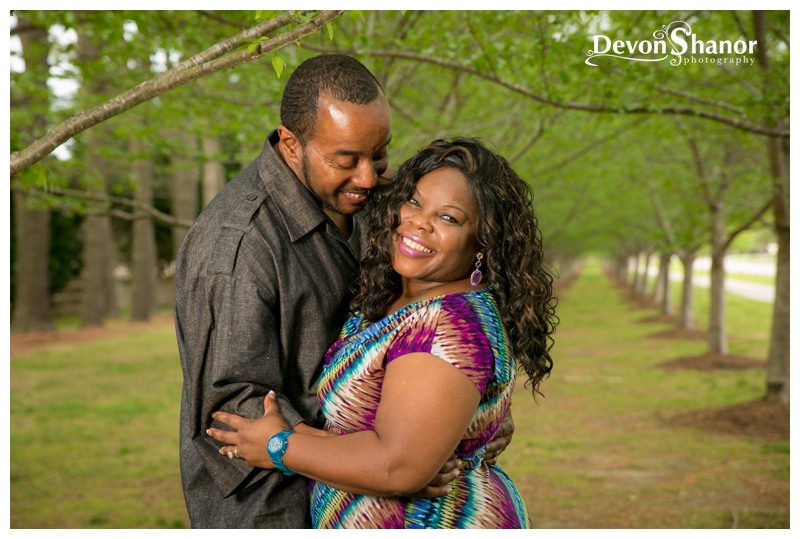 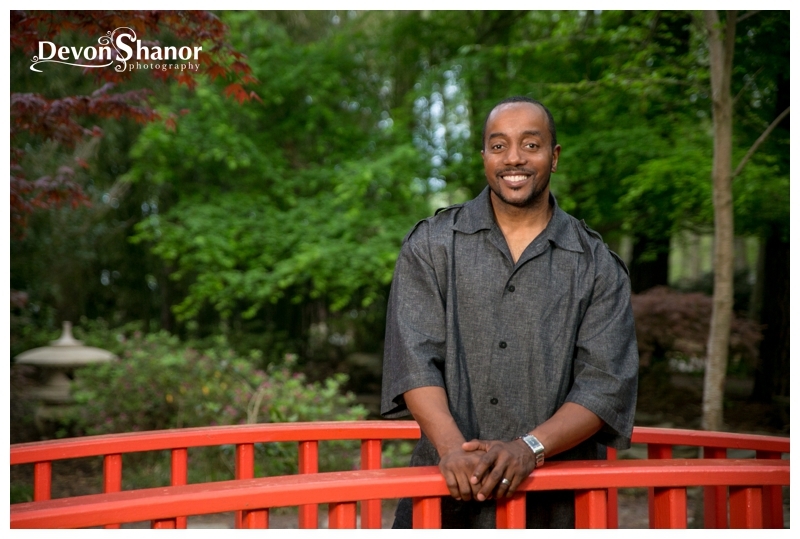 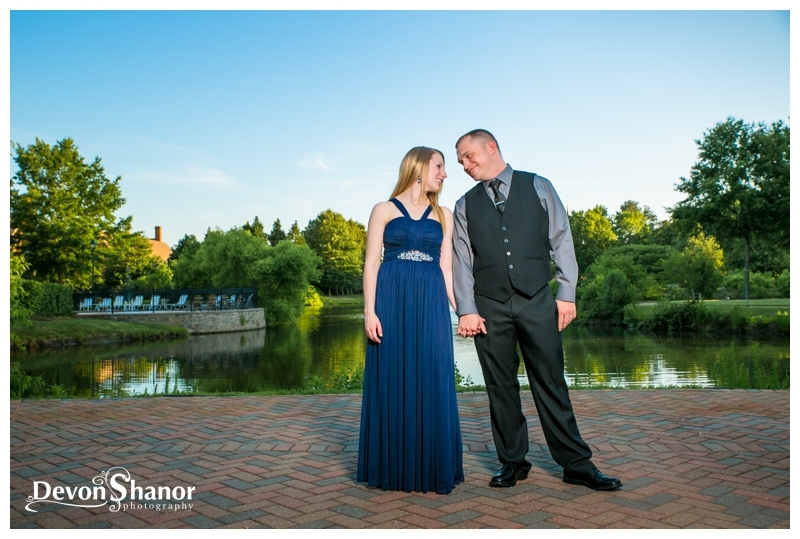 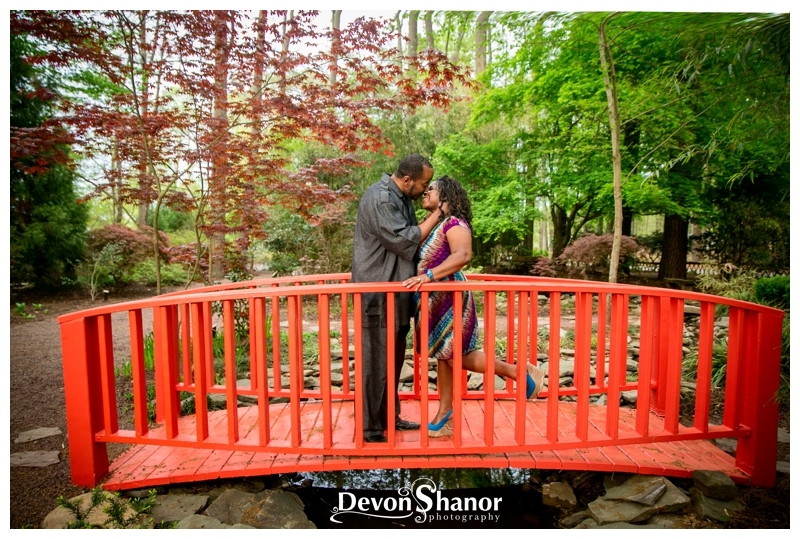 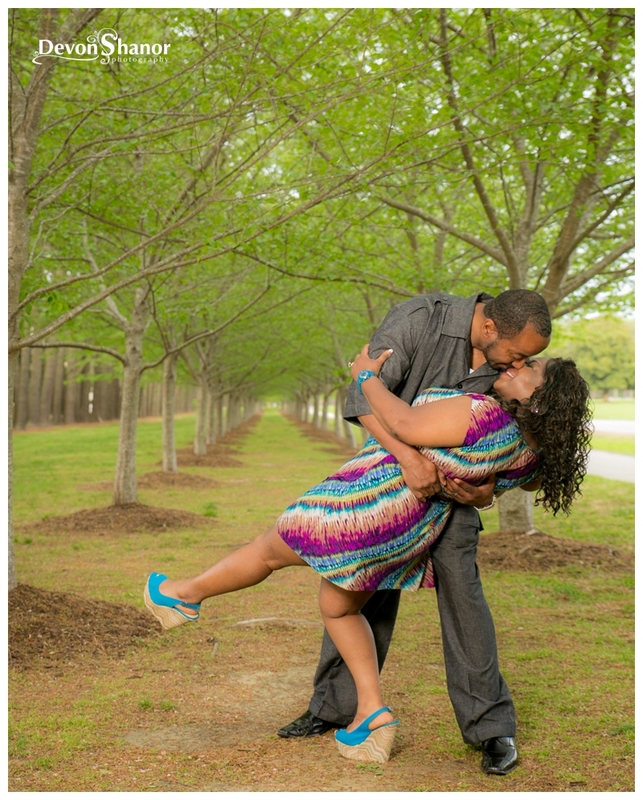 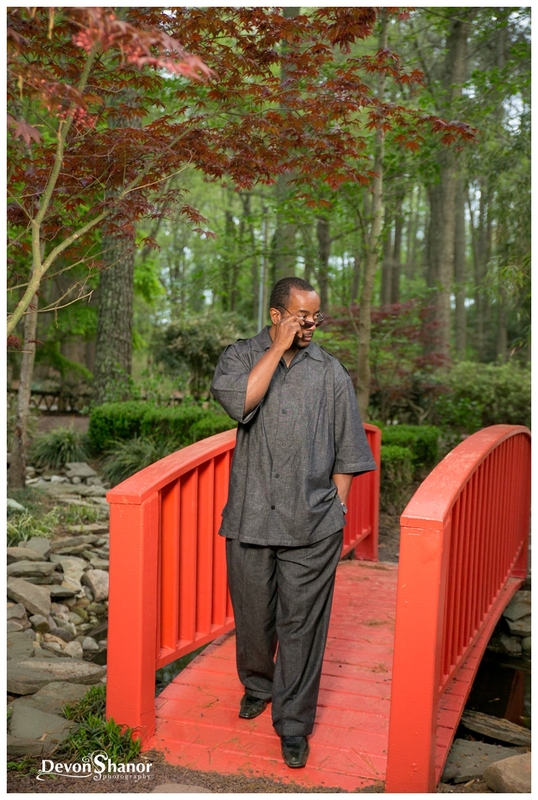 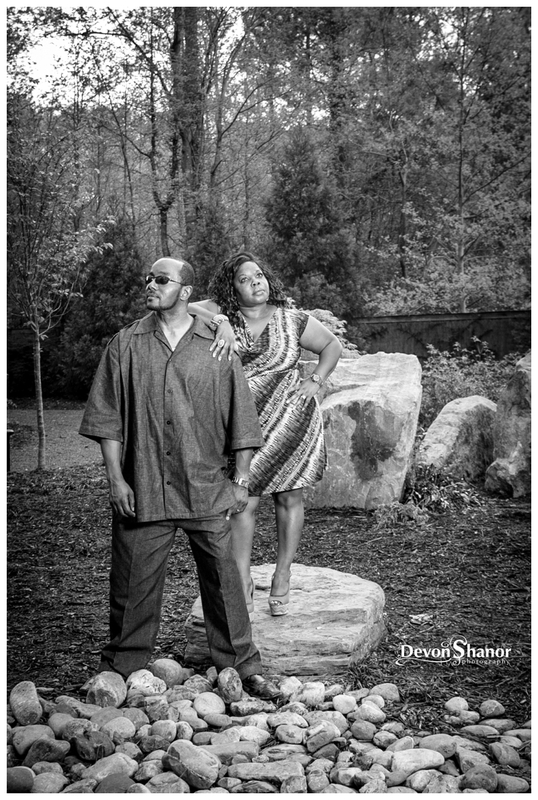 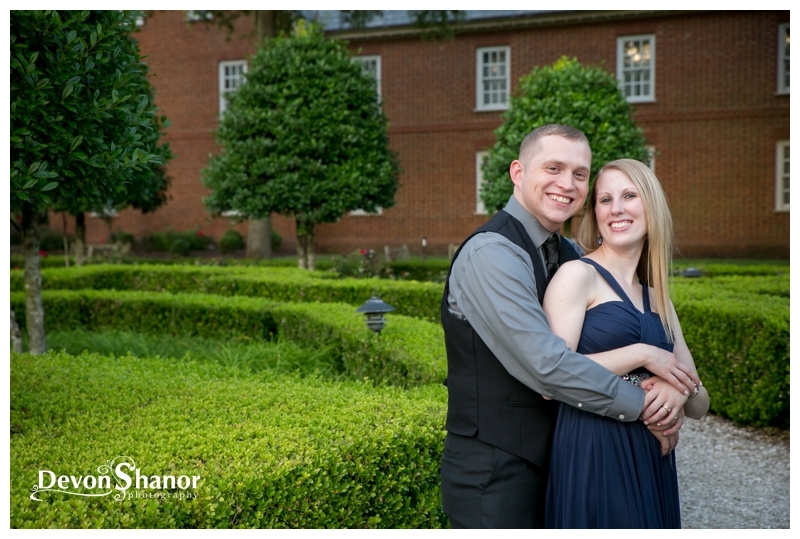 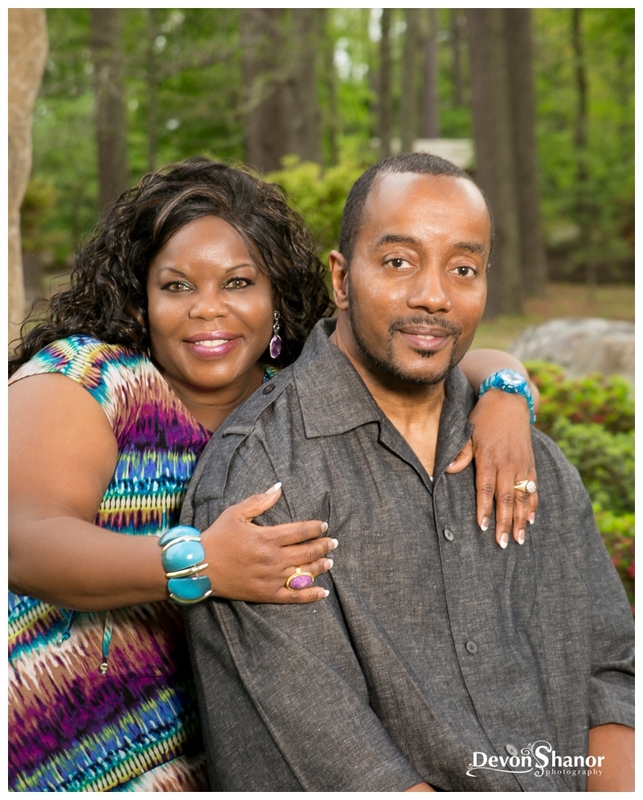 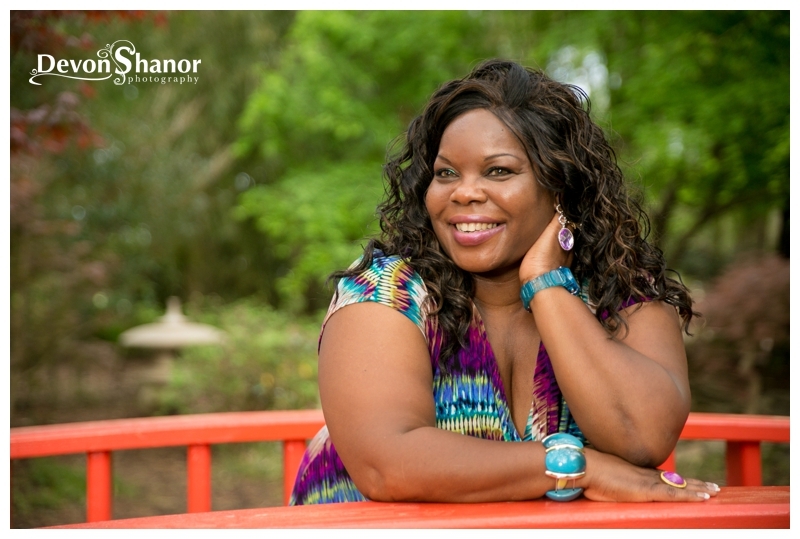 Carla brought along her handsome husband, Tyrone, and we captured some amazing portraits of their love. 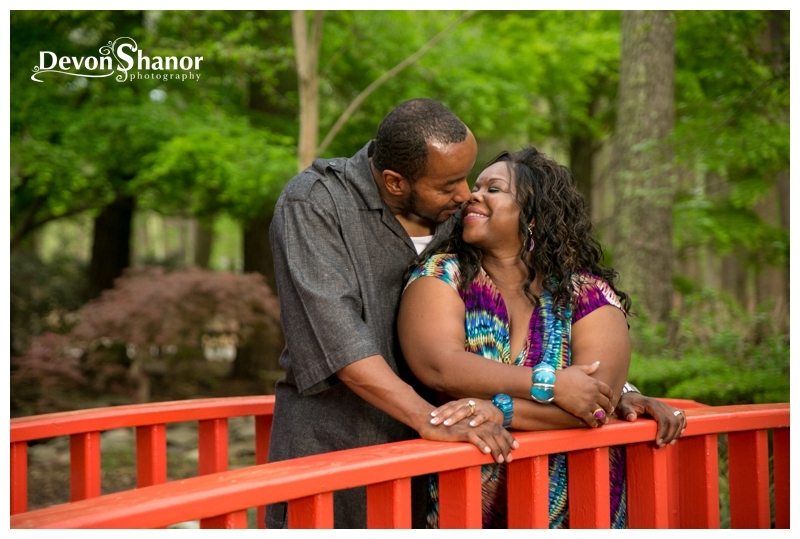 One of my VERY favorite things to photograph is couples still in love after so many years together. 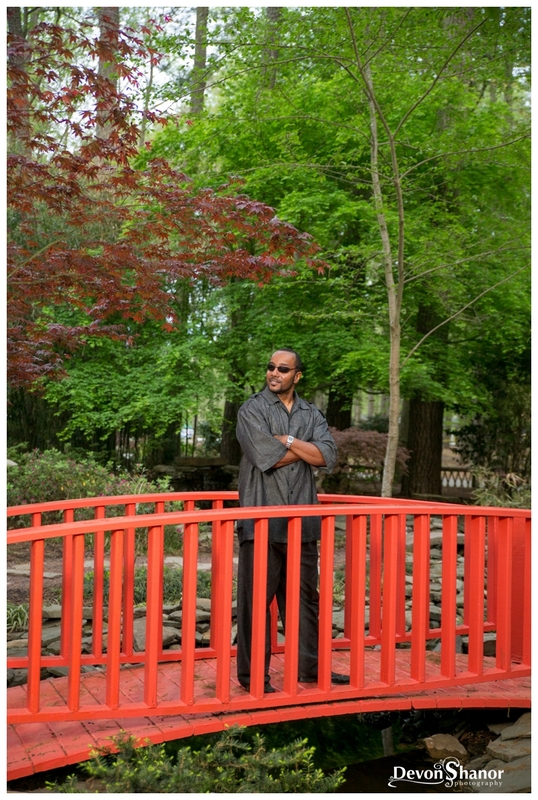 Carla, I hope when I turn 50 I am as proud and confident in myself and my age as you are! 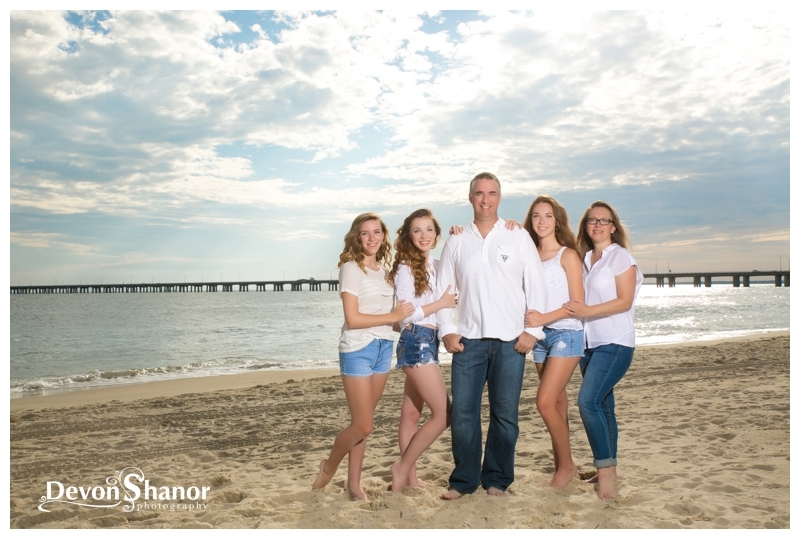 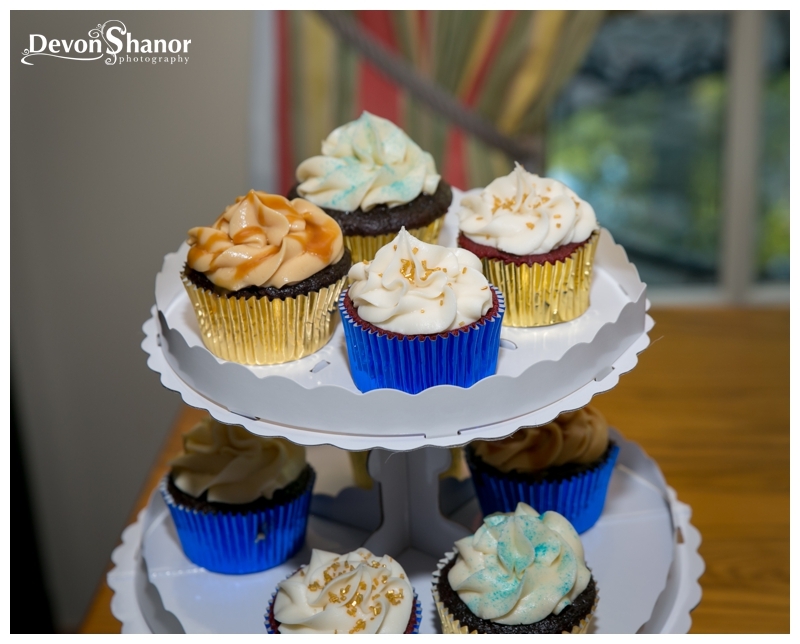 You rocked your session and you rock your age! 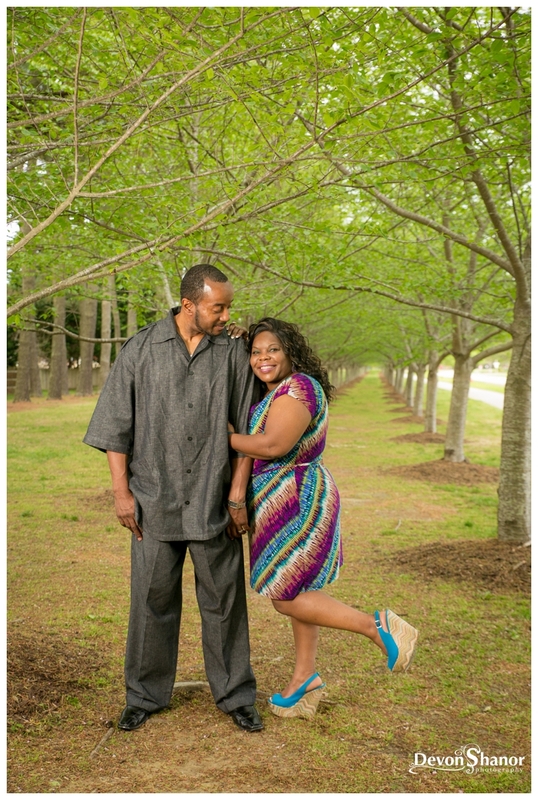 It was an honor photographing you and Tyrone. 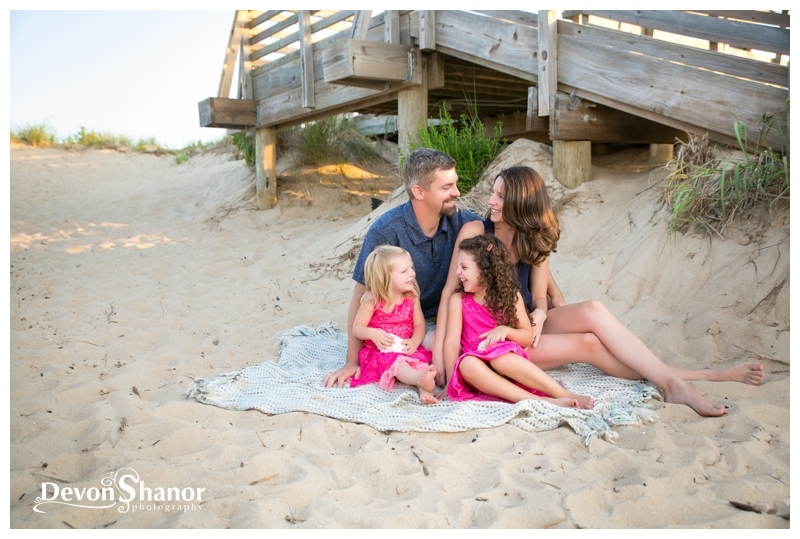 You were both incredible to work with and and I can’t wait to get the whole family captured someday!